​When the Atlantic, Tennessee and Ohio Railroad was constructed at the beginning of war, the region it served was primarily comprised of small towns and farmland and would remain so until late into the 20th century. 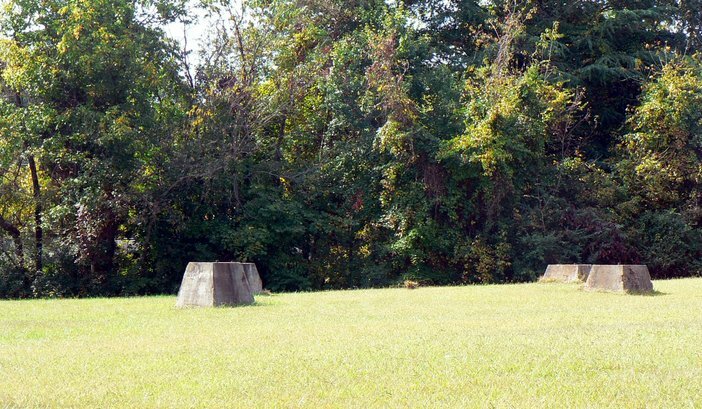 Touched by the Civil War----and removed as a result of----it would be later rebuilt and become an integral part of the transportation system in the Piedmont region. With a name more ambitious and certainly unassociated with the terrain it traversed, the total mileage of the railroad was roughly forty miles. Compared with other railroads in that region, the AT&O was not rich with online traffic. Customers were scattered throughout its route but without high density. 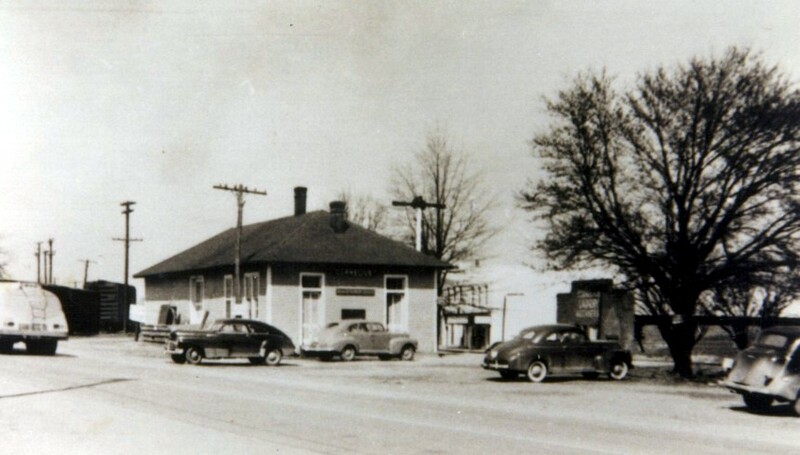 Statesville and Charlotte were bookends and connections to other Southern Railway lines but in between, the smaller towns with mills or light manufacturing businesses epitomized its interior. 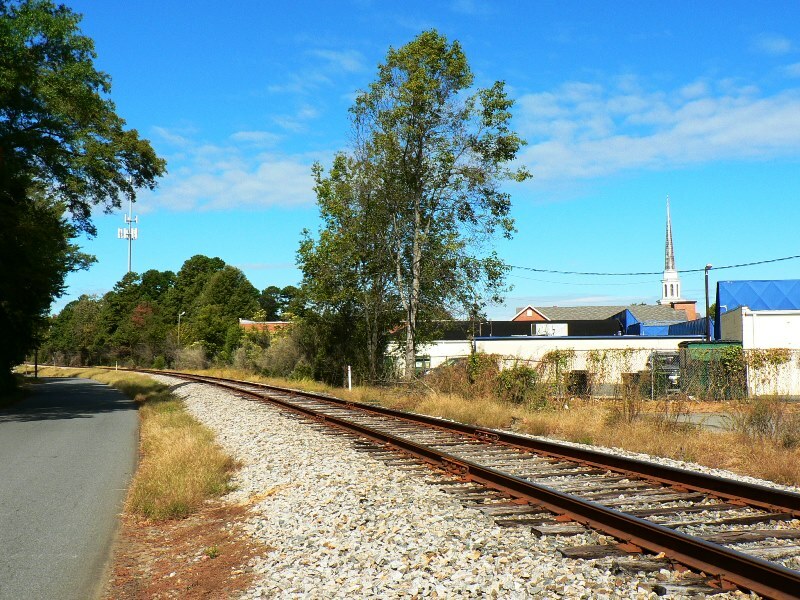 During the glory years of rail passenger service, this route was no less important as a north- south corridor between Charlotte and the foothills of the North Carolina Piedmont. 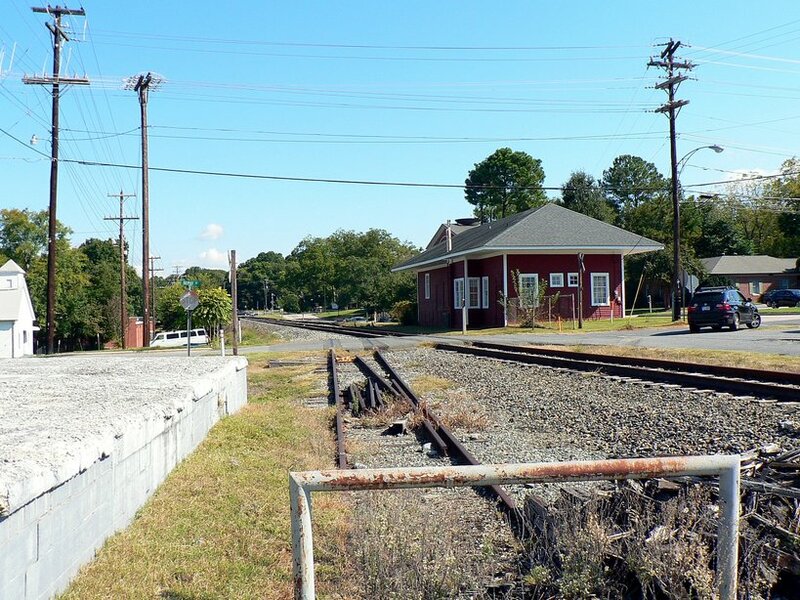 Today, the former AT&O is still intact but for the removed section of railroad from Barium Springs to Mooresville. 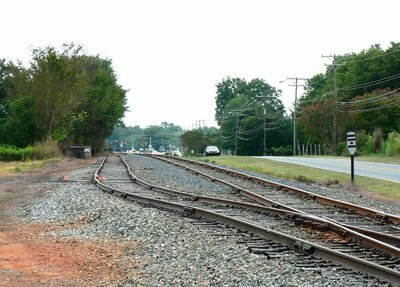 Although the majority of the trackage is extant, there are stretches such as south of Statesville to Barium Springs in disrepair and another region between Mooresville and Cornelius which is virtually dormant. There is potential for changes, however. 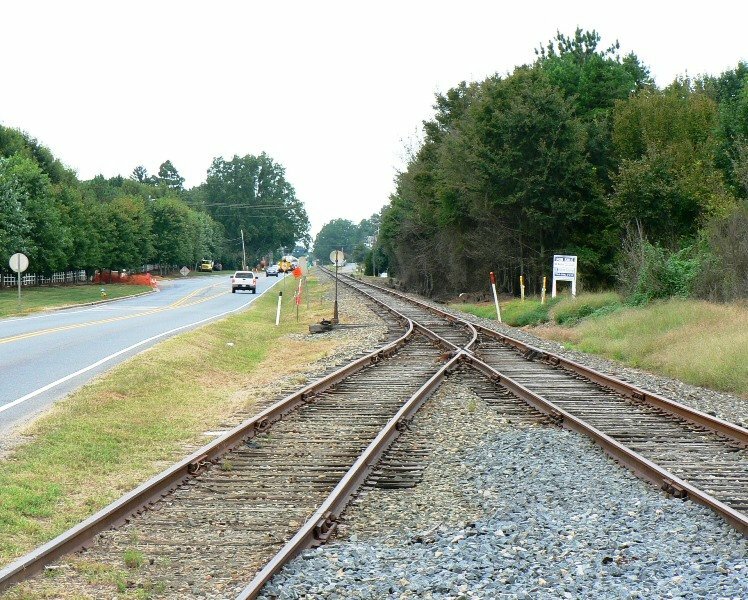 Recent industrial development south of Huntersville and the route from Charlotte to Mooresville has been targeted in proposals for light rail commuter use during the past decade. Whether this comes to fruition or not will depend on politics, funding, and community support. Having worked out of Mooresville from 1987-2005, the original Atlantic, Tennessee, and Ohio Railroad right of way was quite familiar in my daily wanderings both on the job and away. 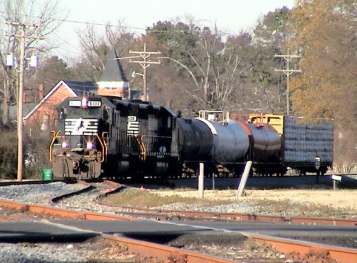 I observed operations and photographed trains and right of way views at various locations along the route between Statesville and Charlotte although perhaps not as much as I should have given my exposure and past experience with such endeavors elsewhere. 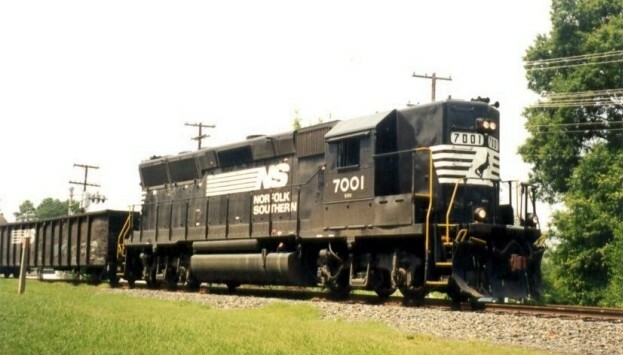 During my eighteen year tenure in the area, the former AT&O and Southern Railway line under the present day banner of the Norfolk Southern underwent changes with the routing of trains and the loss of online customers. Locomotive power was perhaps the most interesting aspect of observations as it was typically older four axle units on the line. 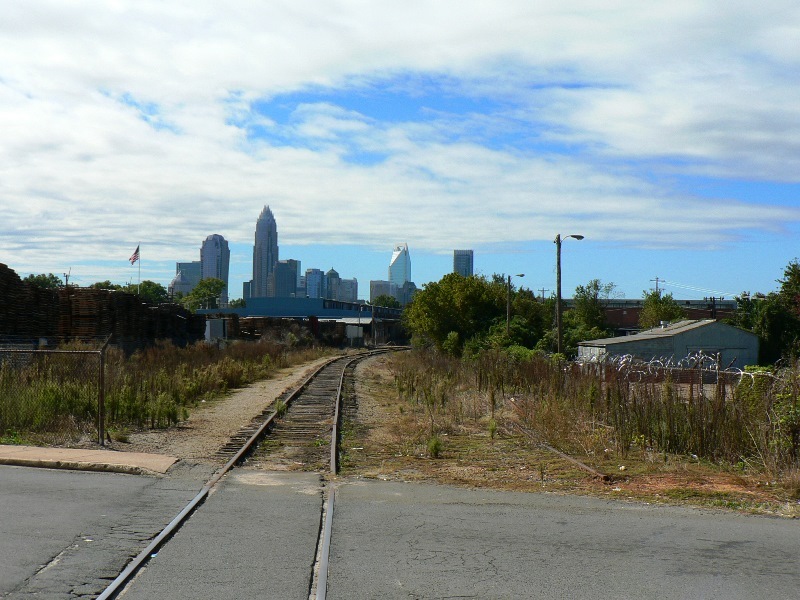 Not a busy line with its heyday long since passed, it meanders through a region steeped with a manufacturing and agricultural past but may yet play a future key role in commuter service serving the northern section of the Charlotte metropolitan area. 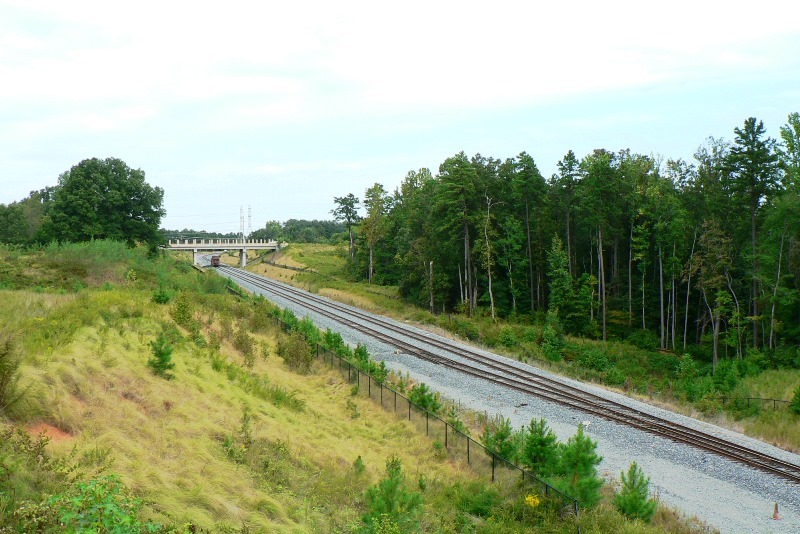 In the realm of railfanning, the AT&O has been largely overlooked due to low traffic levels. Positioned between the higher volume Southern (NS) Washington-Atlanta and "S" Line Salisbury-Asheville mains, enthusiasts and photographers alike obviously favor(ed) these two routes. 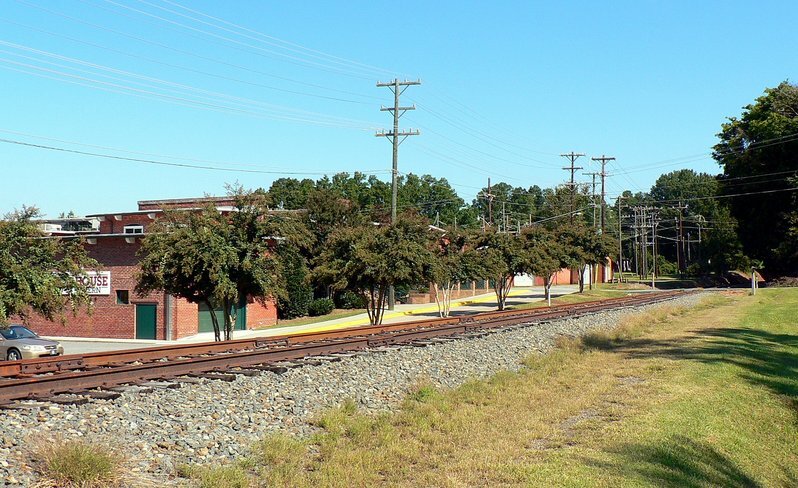 Today, with one daily train from Barber to Mooresville and likewise Charlotte to Cornelius, the former AT&O is an exercise in dedication but the tradeoff is the capability to observe these trains at different locations along the route. There is also the turn to Godfrey Lumber in Statesville from the "S" Line by either NS P60 or P61. Chartered during the period of the antebellum south in 1855, the Atlantic, Tennessee and Ohio Railroad was conceived with larger visions than what became the end result. The route was originally planned from Charlotte to the vicinity of Washington County, Tennessee with intentions of reaching the Ohio River via Virginia and the Big Sandy River. The clouds of Civil War were looming when construction began at Charlotte and tracks reached Davidson by 1861 and eventually to Statesville by 1863. 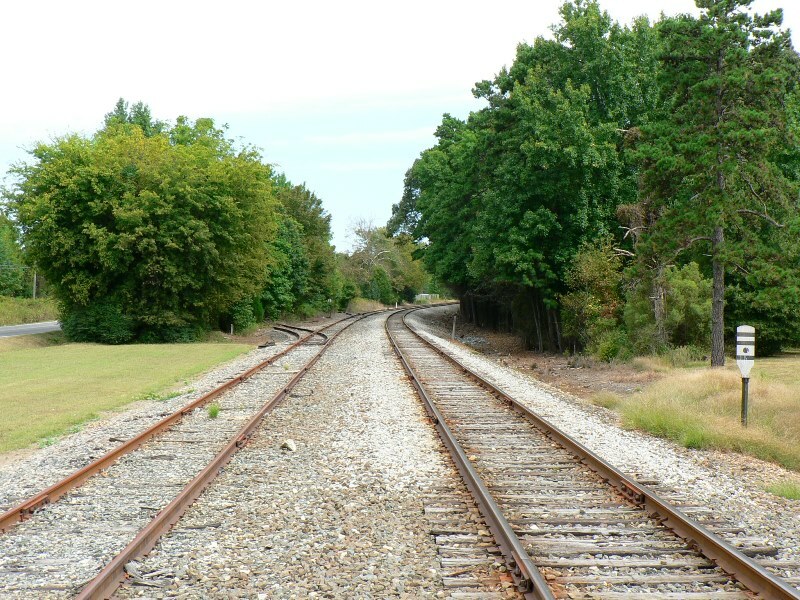 The track had barely settled in the roadbed when the entire length of line was removed in order to rebuild railroad destroyed by the Union Army in war torn Virginia. 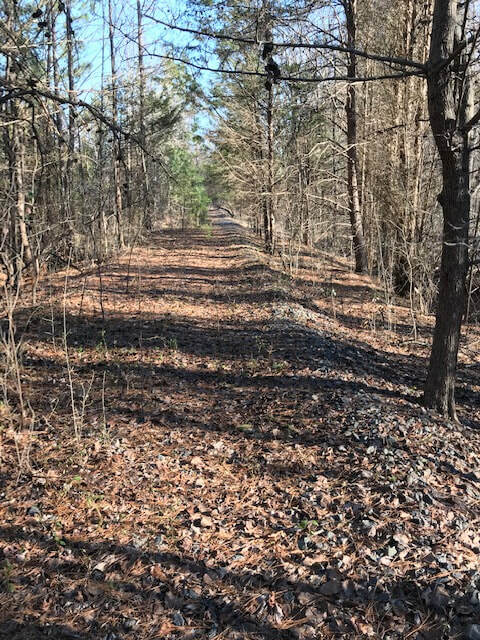 Throughout the remainder of the war and several years into Reconstruction, the AT&O was a bare roadbed between Charlotte and Statesville. Six years after the end of the Civil War, the track was rebuilt in its entirety. Consequently, this was the end of construction as the dream of reaching the Ohio River never materialized. The decade of the 1870s witnessed the expansion of the American rail network in earnest as new lines were built and existing lines became the target of takeover by rail barons backed with formidable financial support. The Baltimore and Ohio Railroad had aspirations of extending its network into the South and the AT&O was targeted as a link to its progression. But B&O in truth was lacking the finances for this quest and it met opposition from the Richmond and Danville Railroad which at this time was controlled by the Pennsylvania Railroad, the chief adversary of the B&O. Moreover, B&O was a northern railroad attempting to expand into southern territory where it was viewed with apathy in the bitter Reconstruction era when northern carpetbaggers had infiltrated the south. The B&O dream of southern expansion was forsaken and the Richmond and Danville Railroad eventually acquired the AT&O. In 1894, both became a part of the Southern Railway empire that was in the making. 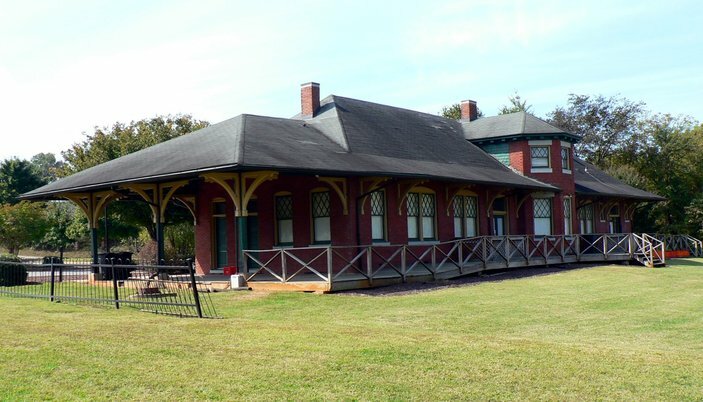 In 1887, the Statesville & Western Railroad was built between Statesville and Taylorsville. Eighteen miles in length, it was a subsidiary of the AT&O and also was absorbed by the Southern Railway and operated until 1946. The line was slated for abandonment but was purchased by local investors and businessmen. 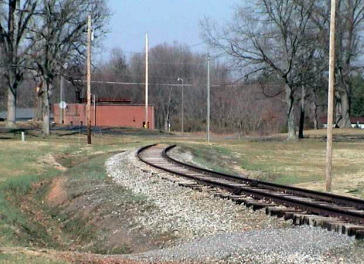 This railroad still exists today as the short line Alexander Railroad. 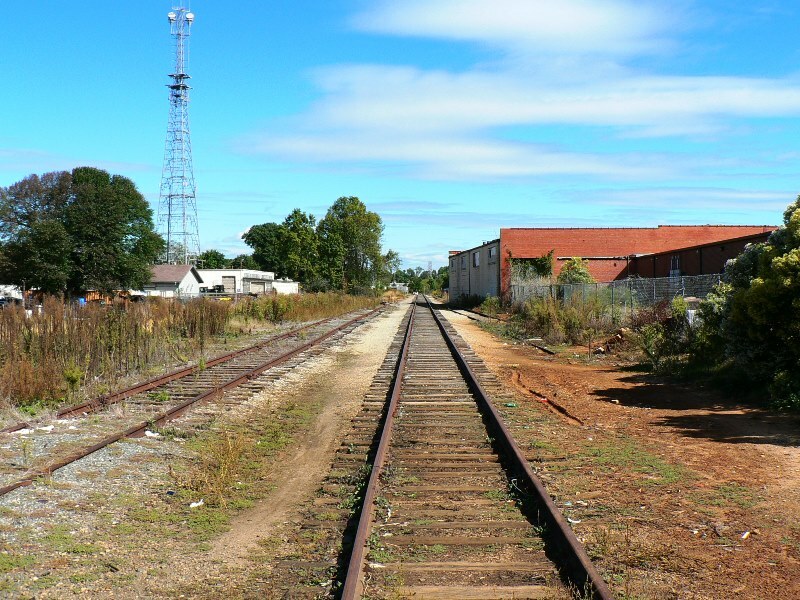 At the close of the 1800s, another rail line was built from Winston-Salem through Mocksville to Mooresville connecting with the AT&O there. 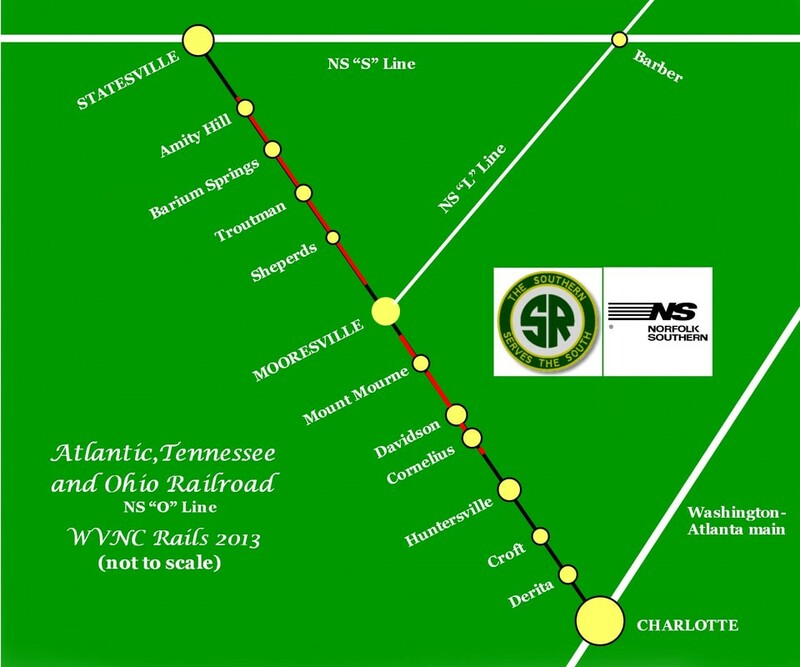 This route created a direct line from Winston-Salem to Charlotte via the AT&O. For many years it operated in conjunction with the AT&O as a funnel for Charlotte traffic until it superseded the line in the 1980s. 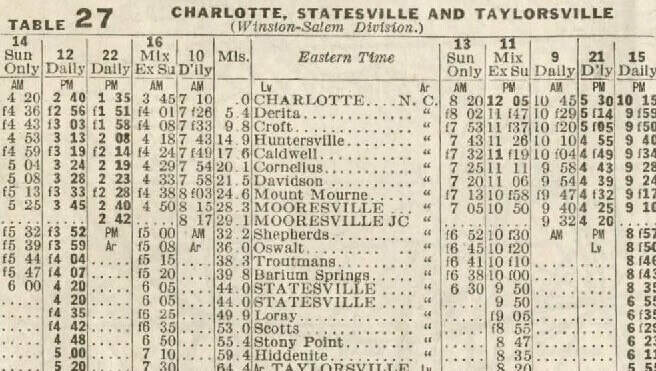 1904 Southern Railway train passenger timetable from Statesville to Charlotte on the AT&O route. Also includes the connection from Taylorsville. 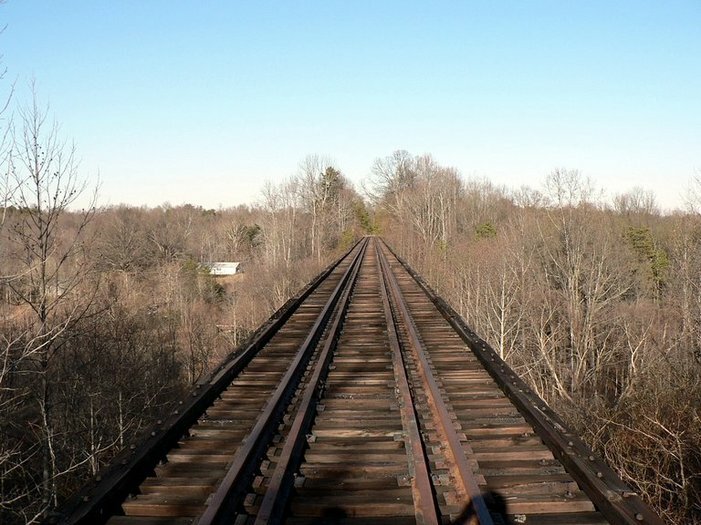 ​In 1983, the recently formed Norfolk Southern elected to sever the original AT&O line between Troutman and Mooresville and the track was removed between these two points. It is somewhat unusual this line was cut considering the minimal amount of mileage affected but it was during this era after the passage of the Staggers Act that railroads were quick to shed track deemed redundant or unprofitable. The NS in effect abandoned the AT&O as a secondary through route opting for the Barber-Winston Salem route instead. 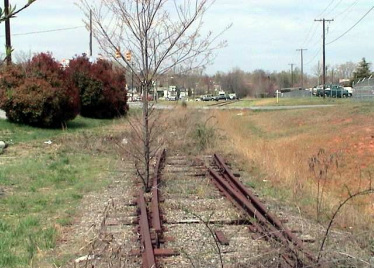 By 1990, no rail customers remained on the segment just south of Statesville into Troutman and although this track was left intact, it is now in a state of deterioration. Segments of rail have since been removed at Barium Springs or paved over elsewhere in the Amity Hill area. 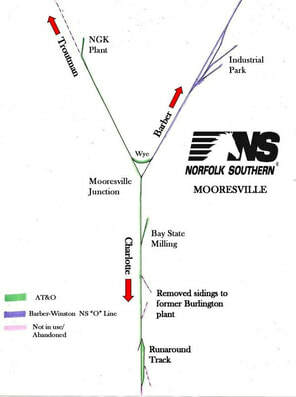 Until the late 1990s, Mooresville was serviced by a daily train originating in Charlotte to serve Burlington Industries, Bay State Milling, and NGK Ceramics which was located on the remaining AT&O stub north of town. During this time period, an industrial park had been constructed off Mazeppa Road located on the Barber line northeast of Mooresville. Ultimately, and coinciding with the closure of Burlington in the late 1990s, trains ceased origination in Charlotte for the Mooresville turn. NS symbol train P23 now turns daily from Barber to serve the industries in the Mooresville area. Southern Railway timetable from 1925 listing the passenger trains from the halcyon era. 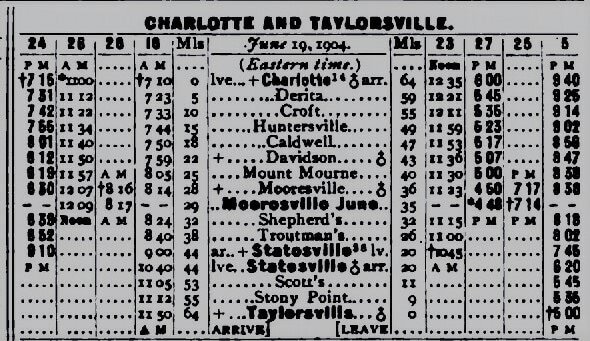 This was the pinnacle of passenger travel on the route with ten scheduled trains operating (five in each direction) on the railroad between Mooresville and Charlotte. ​South of Mooresville, a shipper was located at Timber Road, the Davidson College warehouse, and a textile mill at Cornelius. All three of these no longer use rail service with the mill at Cornelius being demolished circa 2000 and replaced with a shopping center. 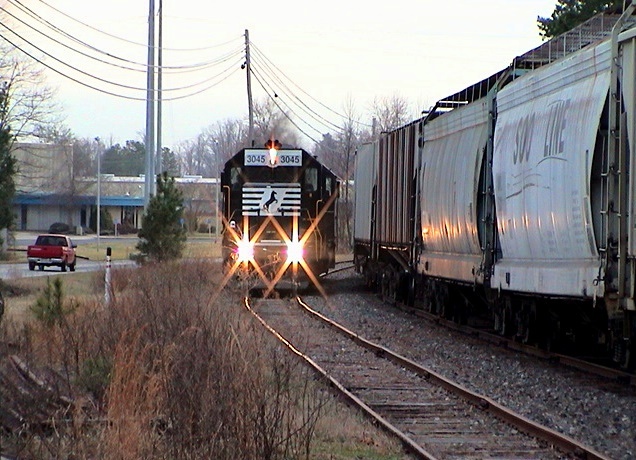 A Charlotte local serves the south end of the AT&O at Derita, Huntersville and north to the Foamex plant south of Cornelius. The region between Mooresville and Cornelius is effectively a dormant piece of railroad although technically, it is not out of service but there are no shippers or through trains that pass. Empties from Foamex were occasionally left on the siding at the Davidson depot and P23 from Mooresville would trek into town to get them. But excepting for these movements and the passage of a MOW train at rare intervals, an otherwise idle piece of railroad. 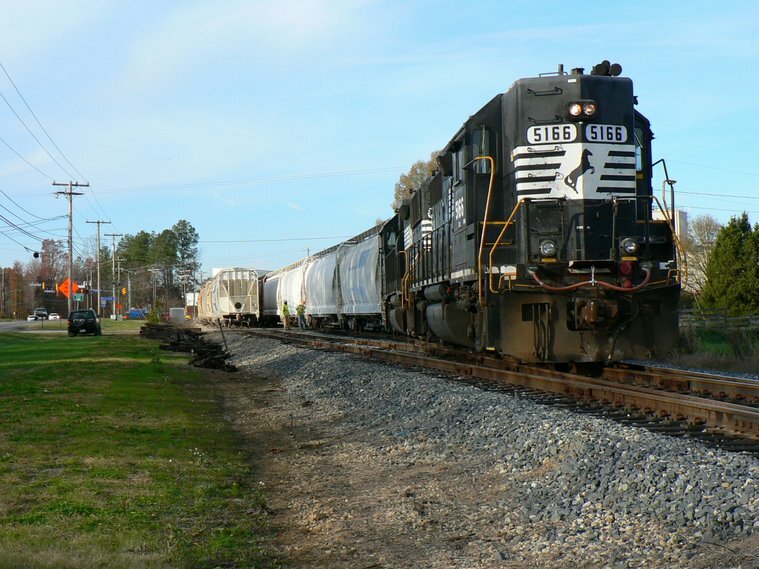 Freight will continue move on the former AT&O but in recent years, emphasis has switched to the potential for using the line from Charlotte to Mooresville in light rail service. A regionally publicized test train was conducted on this route during the late 1990s to solicit support and test the viability of such a run. What the future holds at this point is debatable in regards to funding and community support not to mention political climate. Statesville was already a busy junction during the Civil War. The Western North Carolina had reached the town by 1858 and the AT&O was completed at the mid- point of the conflict in 1863. 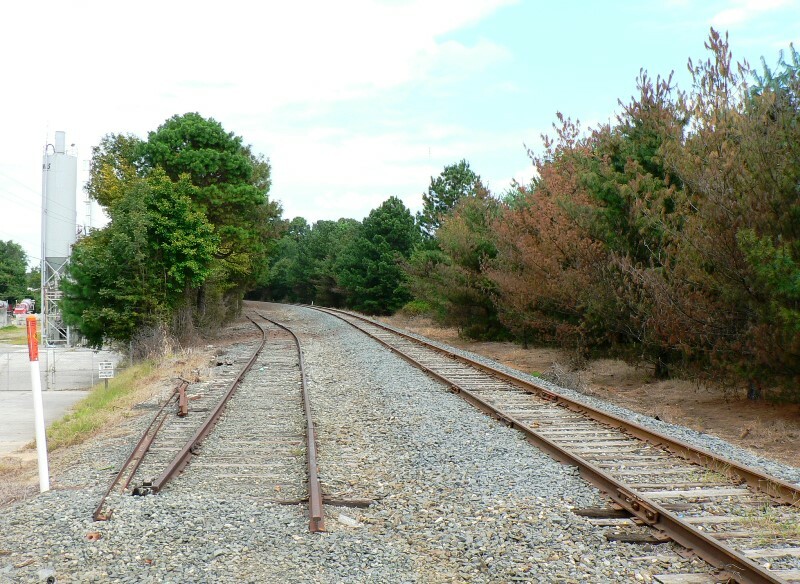 During 1864, however, the AT&O was completely taken out of service when its rails and ties were removed to rebuild railroad of critical military importance in Virginia. It would not be until 1871 that the line would be rebuilt and restored to service. 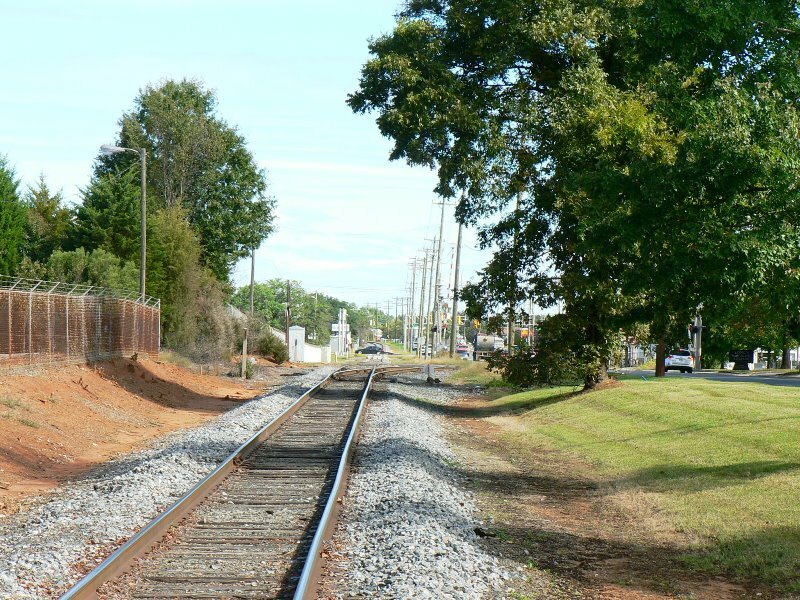 A third railroad entered the picture for the Statesville area when a line was completed to Taylorsville in 1887. Named the Statesville and Western, this railroad has remained in service for 125 years first as an AT&O subsidiary then passing to Southern Railway ownership. 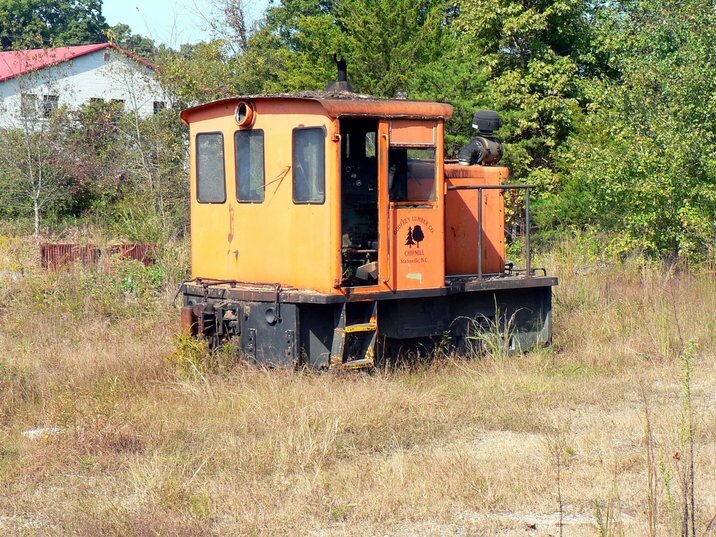 It was slated for abandonment in 1946 by the Southern but life began anew with a different name and ownership, the Alexander Railroad of which it remains today. 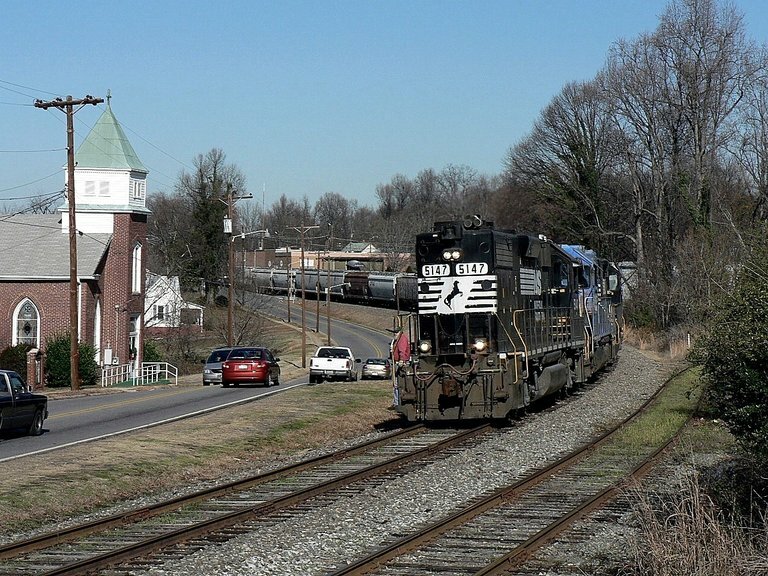 When one visits Statesville today at the junction of the old AT&O and the Norfolk Southern "S" Line from Salisbury to Asheville, the connection lends support to how important this location once was. The intersection is a wye to the AT&O with an east and west leg. This enabled trains from any direction to turn either onto the AT&O or "S" without the need for backing or running power from one end of the train to the other. If power did need to be turned such as perhaps with passenger trains at the Statesville station, the wye made this easier. 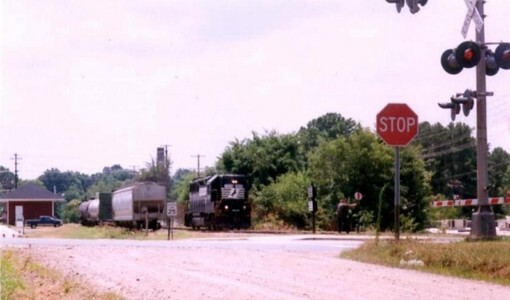 Today, Norfolk Southern still maintains a small yard near this junction along the "S" line and the wye today is more functional for turning locomotives or cuts of cars. Statesville remains a busy rail location today. 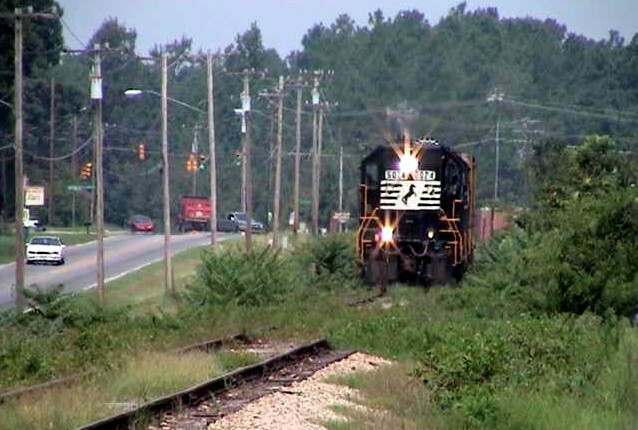 In addition to the scheduled passage of manifest trains and extra movements, there are still a number of online shippers in the area and interchange traffic with the Alexander Railroad is constant. Sadly, the AT&O is only active for slightly more than a mile in town but the one customer remaining on the line is a large one. Godfrey Lumber ships a respectable amount of cars loaded with wood chips. Although not a town in the truest sense, I am using Amity Hill in reference to the area between Statesville and Barium Springs. Moving south, the railroad no longer parallels NC 115 in this region as it cuts across country to the Third Creek drainage before reappearing at Barium Springs. 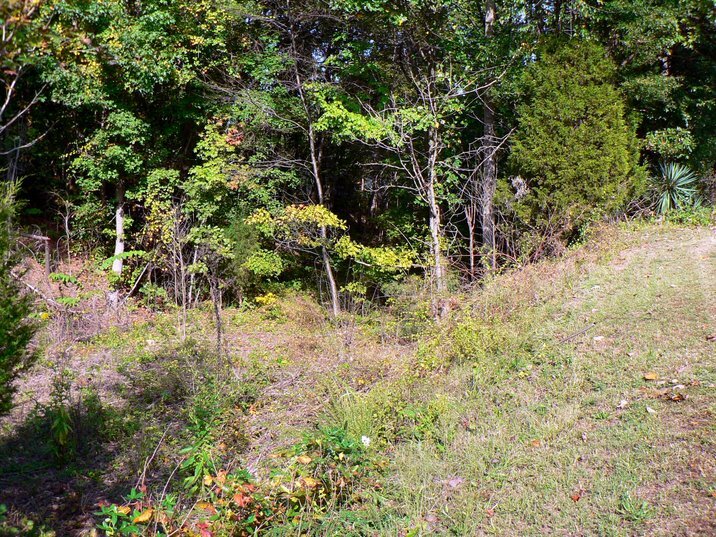 The topography in this section is hilly and it is here the most impressive structure on the AT&O can be found. 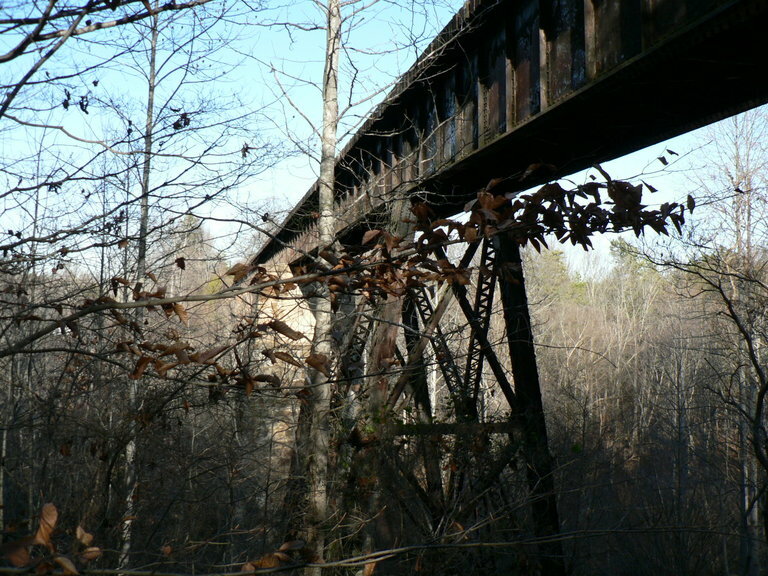 The railroad crosses Third Creek on a high deck 500 foot long bridge that is spans the creek ridges. Track is still extant on the bridge and in the Amity Hill area as a whole but is in a serious state of dilapidation. 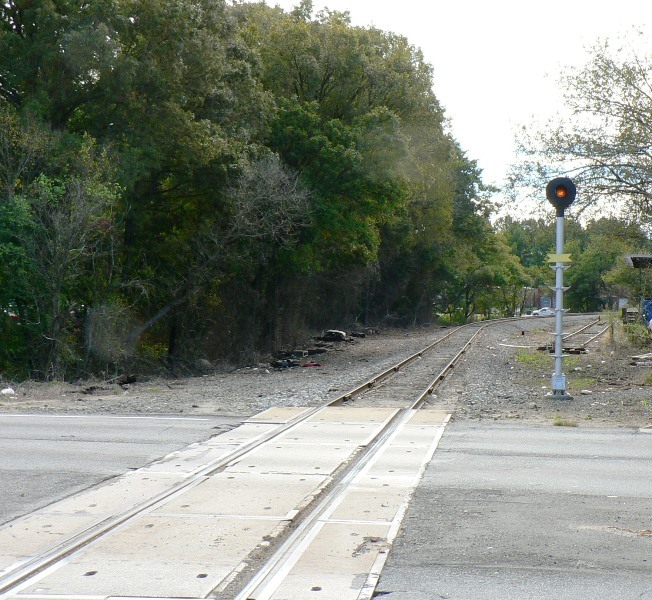 Grade crossings have been paved over and heavy growth along the right of way is evident. Known primarily for the Barium Springs Home for Children, this region traces its settlement beginnings to the mid 1700s when nine mineral springs were discovered. Revered for their mineral qualities, a company called the Great Human repair Shop located here and distributed these waters throughout the United States. The venture was successful and ultimately a hotel was built at the site which lasted until the end of World War I when Davidson College purchased the property. Davidson College subsequently sold the property to Presbyterian Synod which established the childrens home. Barium Springs was not large in terms of commercial importance throughout the Southern Railway years but as a passenger stop certainly more prominent due to the childrens home and proximity to Troutman. 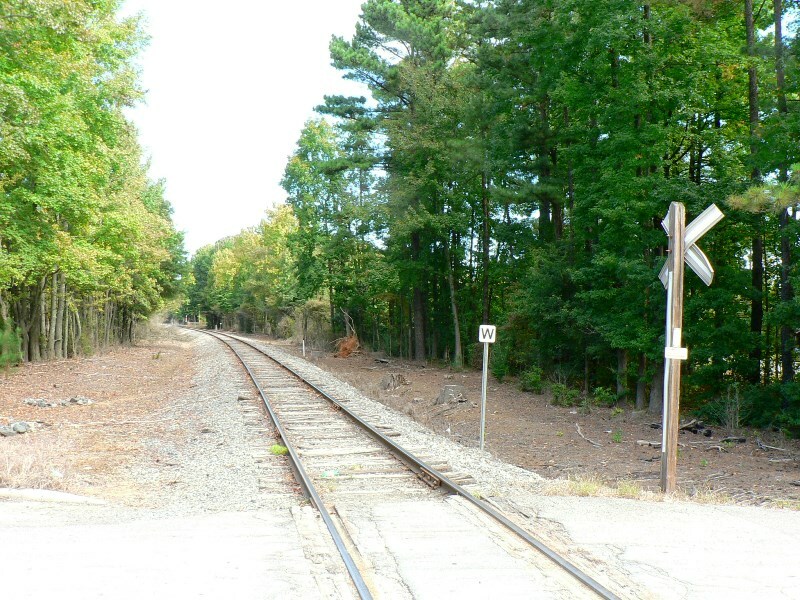 A passing siding was located here for meets and switching in the Troutman area. 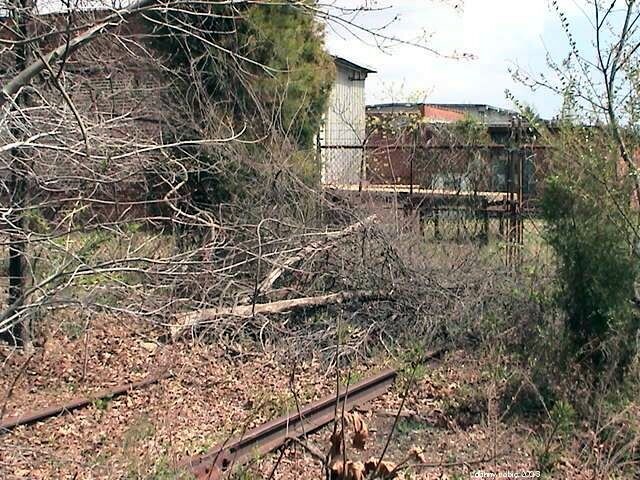 Railroad track still exists through Barium Springs in a dilapidated state but has been removed in specific areas such as near the post office and the YMCA that was built several years ago. It has been at least since the mid 1980s since any trains ran through this area. Situated between Statesville and Mooresville, Troutman traces its earliest heritage to the 1750s when migrants from Maryland, Pennsylvania, and New Jersey settled in the abundant free land that was available. Primarily an agriculture based community, the beginnings of development occurred during the late 1770s when one of the settlers, John Jacob Trautman, purchased 200 acres of land near the head of Norwood Creek. Trautman continued to purchase land until he ultimately held the title to two thousand acres. business during the 1850s that served the heavy wagon laden trade that flourished in the area. The community had become a crossroads and the location of this wagon business was strategically located. 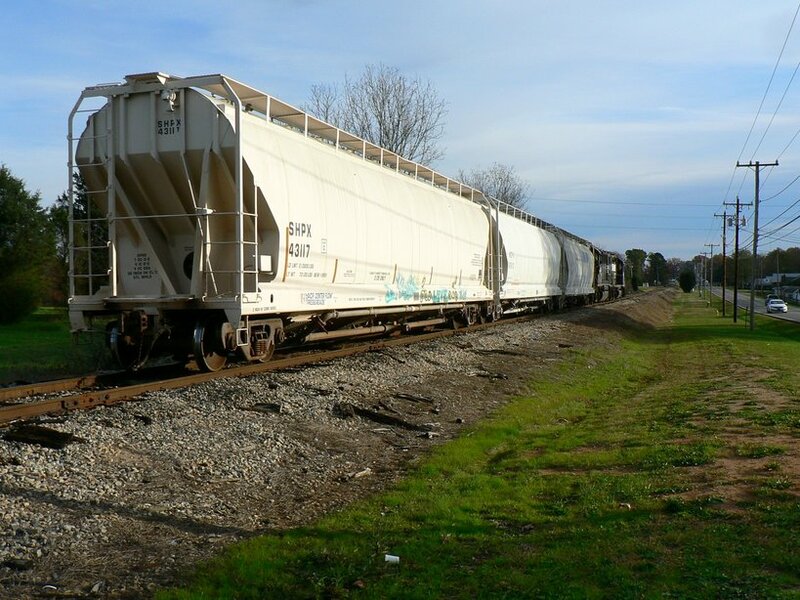 Business continued to prosper when the tracks of the AT&O reached the community as wagons were invaluable in furnishing supplies for both the construction and workers. 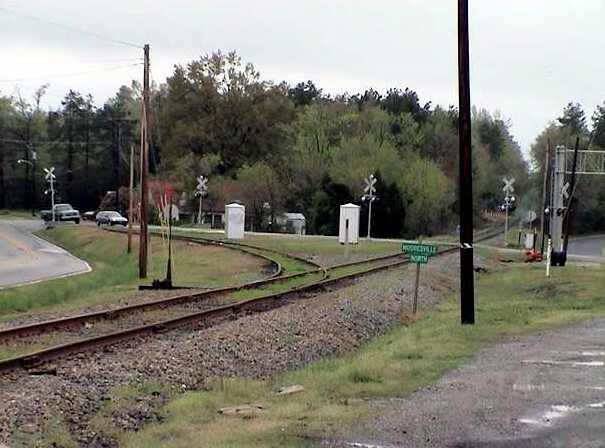 Once the railroad was completed to Statesville, Troutman (spelling changed) became a full-fledged freight and passenger stop along the AT&O until the Civil War interrupted the progression of the town. The railroad was removed during the war for use in rebuilding militarily strategic lines in Virginia and it was not until the 1870s that the track was rebuilt between Statesville and Charlotte. In the late 1800s, Troutman became a center for saw mills and furniture making. 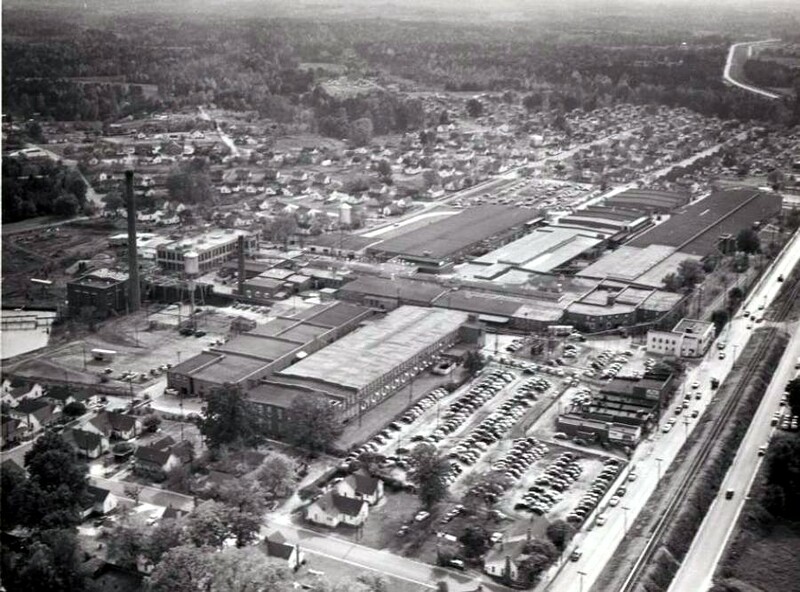 This industry lasted until all the usable hardwoods in the area were depleted and the focus of the furniture business then moved to High Point and Hickory. After the demise of the furniture based industries, the commerce in Troutman shifted to textiles and agriculture and remained so throughout the 20th century. Train traffic by the Southern Railway consisted of run through manifests between Charlotte and points north in the Piedmont region. 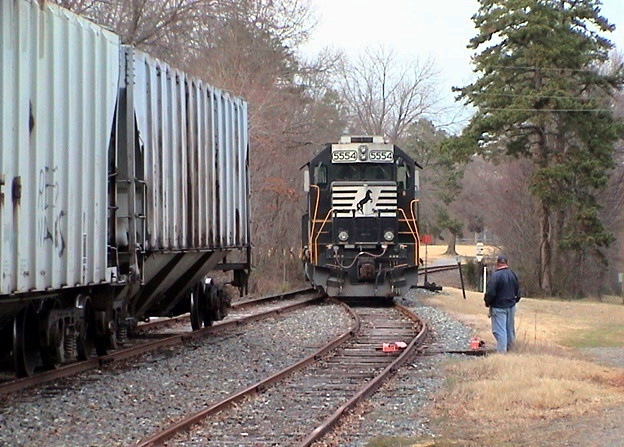 There was local traffic but like other locations along the AT&O, rail shippers were not numerous. Of course, passenger traffic was a mainstay until the 1950s when the service was discontinued. 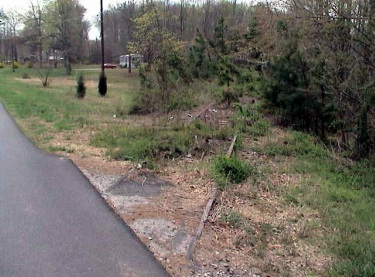 When the Norfolk Southern severed the AT&O between Troutman and Mooresville in 1983, the track was left in place at Troutman to the location of Old Murdock Road. Where the main was cut, a siding swung around behind a business located on Old Murdock Road. Remnants of another old siding could be found south near Perry Road although the mainline was removed here. In the business section of Troutman the right of way splits the town running between Main Street and Eastway Drive. 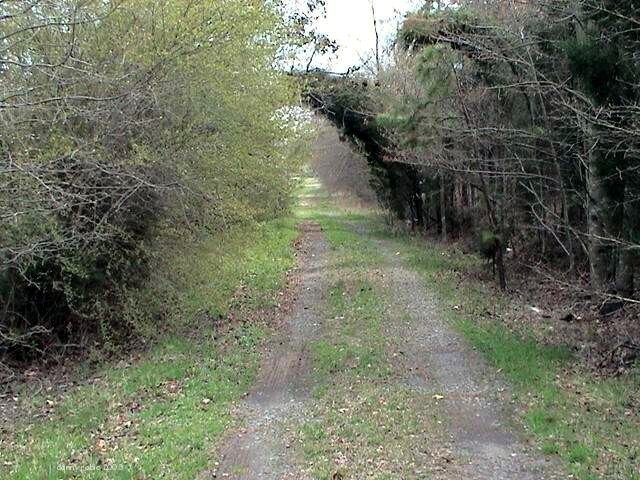 For many years, a defined abandoned right of way existed here until the recent conversion to the mile long Troutman Rail Trail. South of town, commercial development has taken the right of way at different locations. 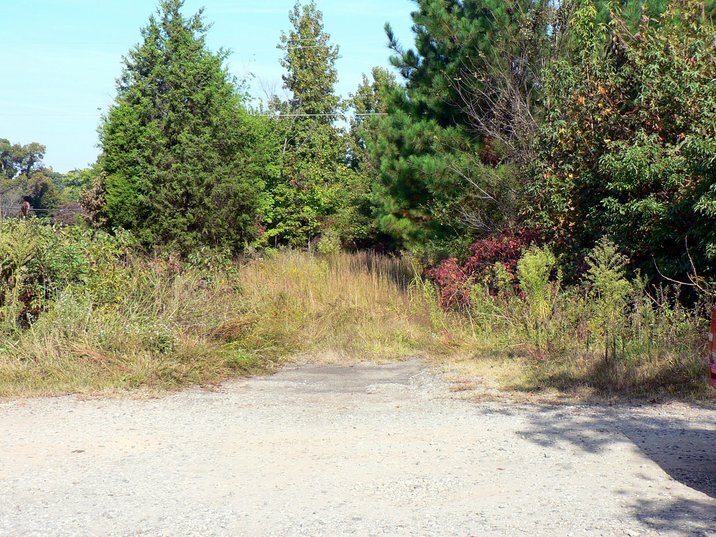 A selection of images of the former right of way at various locales as it appears between Troutman and Mooresville. These locations such as Oswalt, Bells Crossroads, Shepards, and Shinnville were once flag whistle stops during the passenger era. 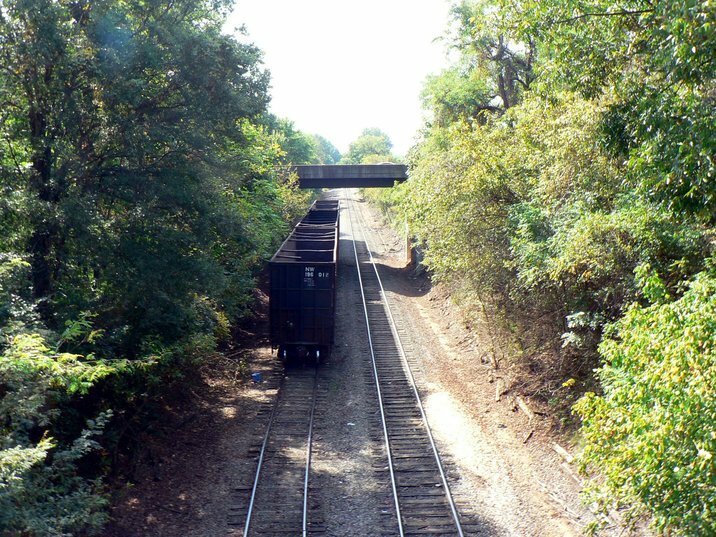 There is no evidence of any commercial shippers that were located along this stretch of rail between Troutman and Mooresville. Such shippers would have been related to agriculture and vanished from the landscape many years ago. 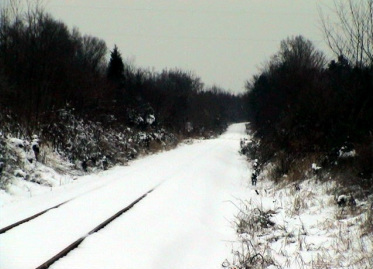 As with any abandoned railroad right of way, the cold weather months are best to trace and explore them. 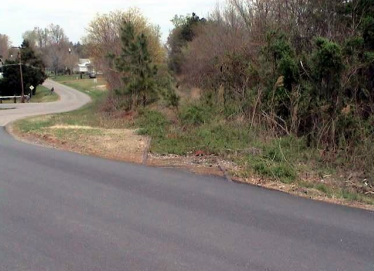 Once the foliage has dropped or died, roadbeds become more visibly defined. 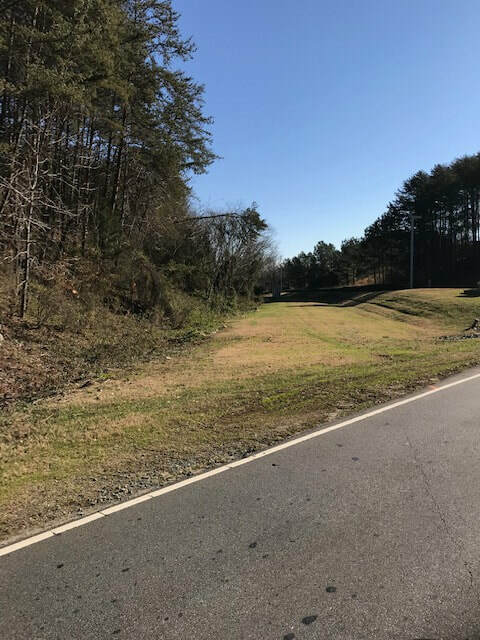 A drive along Highway 115 between Troutman and Mooresville during January will outline this former AT&O right of way well. 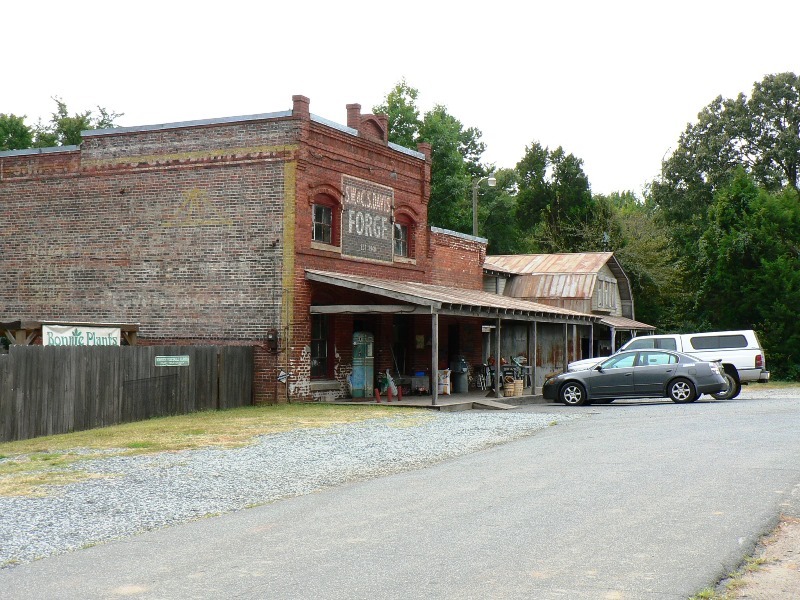 The town that emerged from the location known as Moore's Siding evolved into one of many textile based communities scattered about the North Carolina Piedmont and became the near geographical, if not functional, heart of the AT&O. 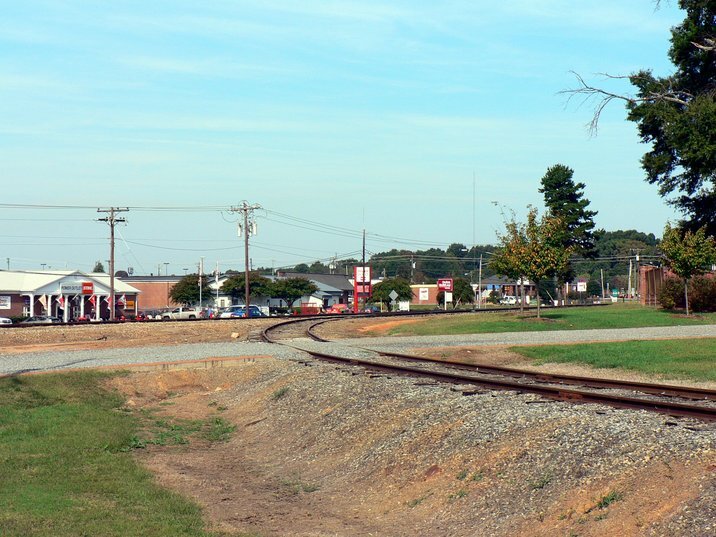 Like the other communities the AT&O passed, Mooresville was thwarted by the Civil War and its development halted for a decade when the railroad was removed during the conflict. 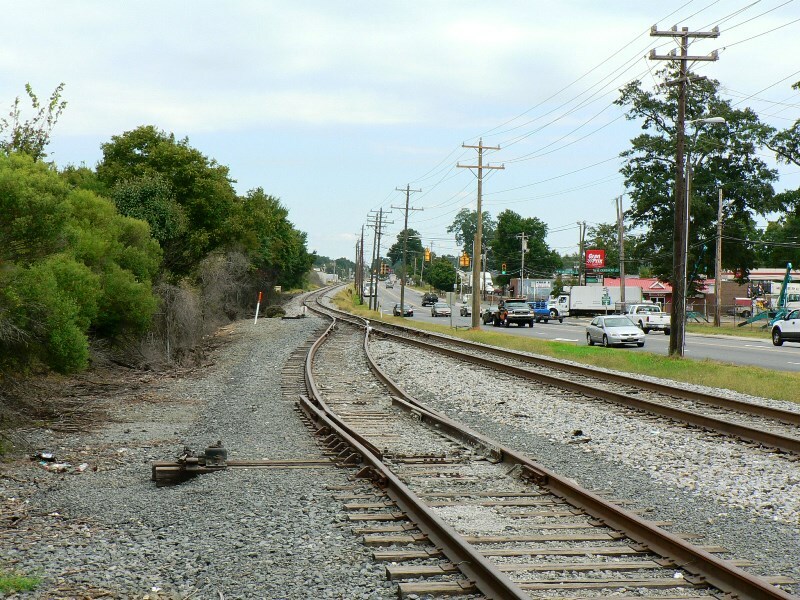 It was not until the early 1870s when the railroad was reconstructed that growth resumed. Passenger traffic remained constant for the first half of the 20th century until it was ultimately phased out on the route during the 1950s. 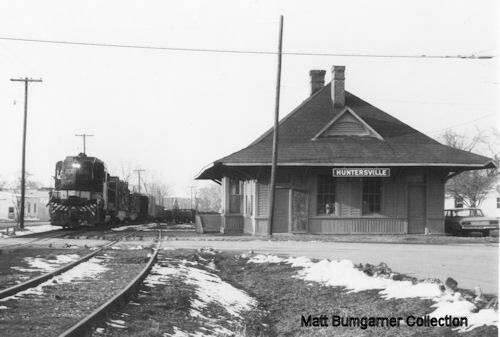 Mooresville was a converging point for southbound trains and a diverging transfer point for passengers moving north. 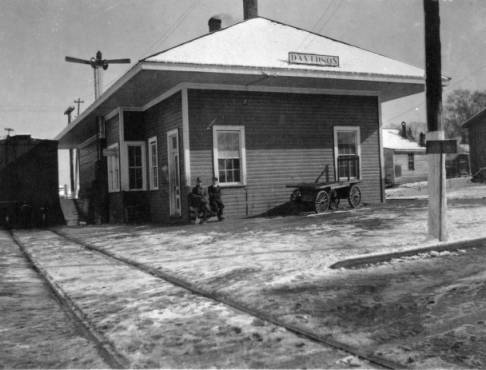 The town remained as such until the AT&O line experienced the same symptomatic decline and result as most other rail routes in the aftermath of World War II. The development of the highway system and the exponential increase in automobiles doomed the service. The reader will obviously note that Mooresville is the centerpiece of this feature and not only because it was my foremost association with the old AT&O. Operationally, it was the most diverse location on the route with the junction and the routing of trains although my tenure postdated the passage of through freights. This sector of a 1914 Sanborn map of Mooresville centers on the layout at Iredell Avenue. 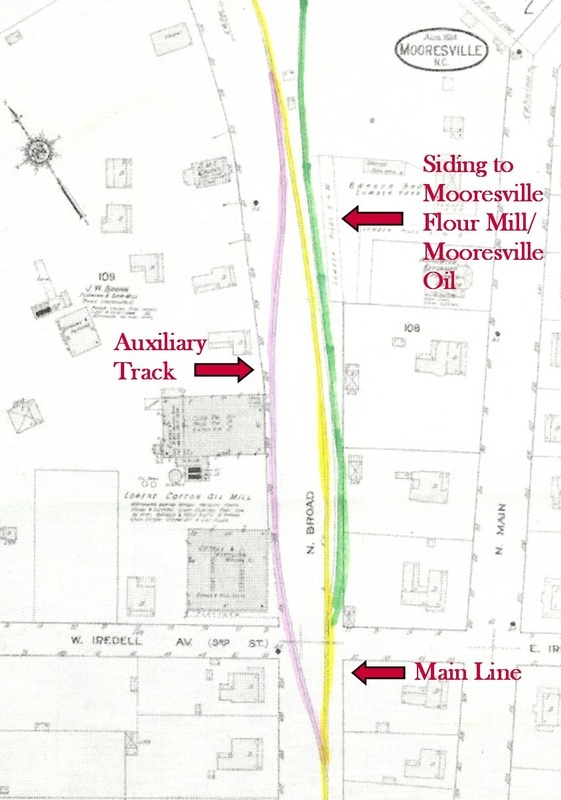 The yellow track is the AT&O mainline, the green the siding to the old Mooresville Flour Mill and Mooresville Oil. The pink track crossed North Broad and serviced the Lorene Cotton Oil Mill and then rejoined the mainline. 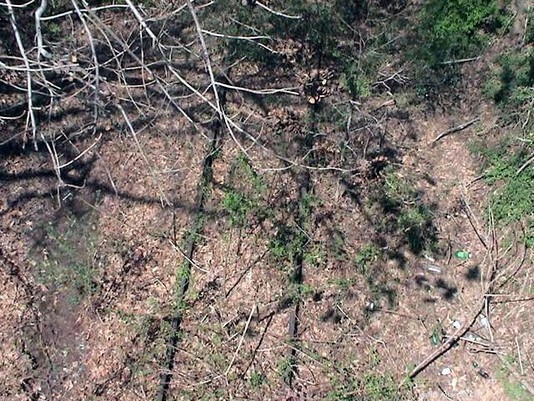 Although this track has been gone for many years, evidence of its existence can be seen today. My first observations of the traffic on the old AT&O at Mooresville began during the late 1980s when I moved to the area. At this time, Burlington Industries was still in operation and received boxcars and an occasional hopper of coal. 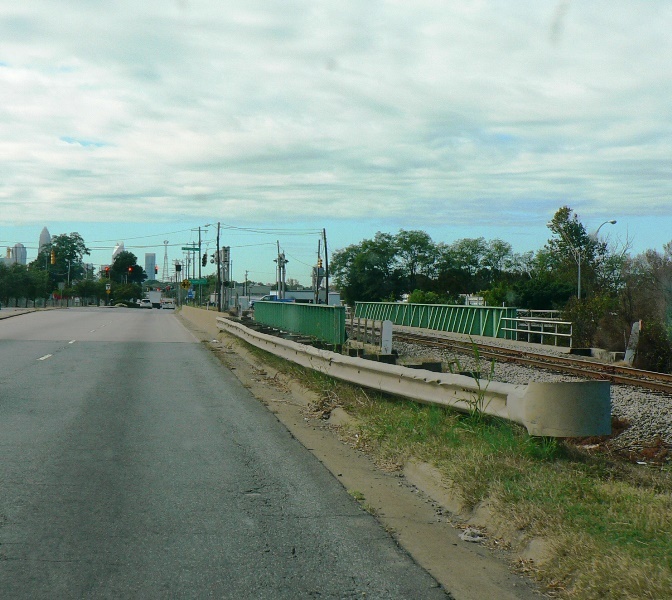 It was served by two sidings---one branched off the main at the East Wilson Avenue grade crossing and the other diverged from the main near South Main Street and Doster Avenue. This second siding ran behind buildings on South Main then crossed Brawley Avenue upon entering the plant. By the early 1990s, the Brawley Avenue siding was taken out of service and new duplex homes built on its right of way. 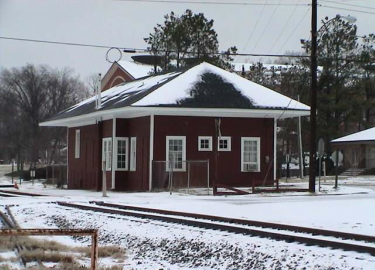 The primary siding at East Wilson remained in service until Burlington closed during the late 1990s. This track remained in place but the switch was removed from the main. In recent years, the old Burlington plant has been partially refurbished and now houses the Merino Furniture Outlet. During this renovation work, the East Wilson siding was removed. 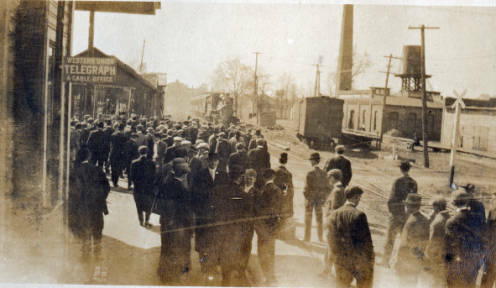 An early 1900s view looking north towards the Mooresville depot. 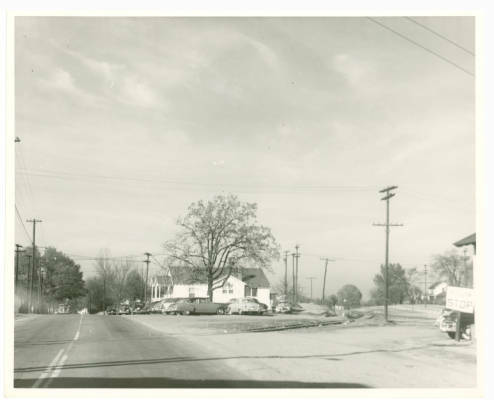 To the right is South Main Street and this image also caught buildings of which several still exist today. Image courtesy of S. David Carriker Collection/Piedmont and Western Railroad Club. South of town at the runaround siding, a spur branched off and crossed Highway 115 to serve what was during the late 1980s the Sterling plant, a maker of auto fiberglass trim. 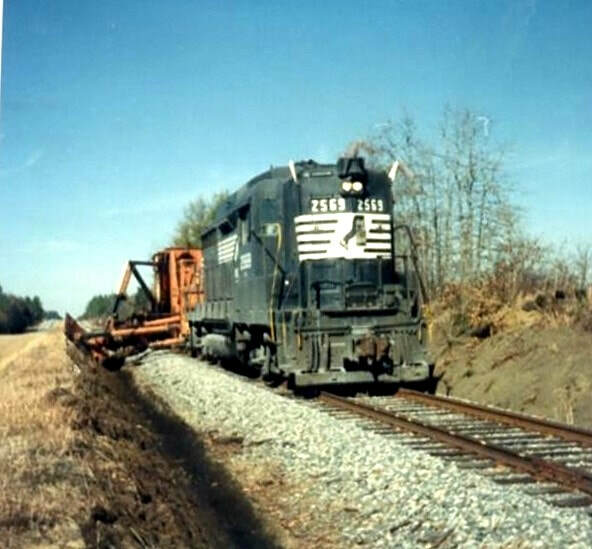 The shipper ceased using the railroad and the siding lay dormant until the section from the mainline to across the highway was removed in the early 1990s. NGK Ceramics began using rail service circa 1990 and brought life back to the section of former AT&O heading north of Mooresville. 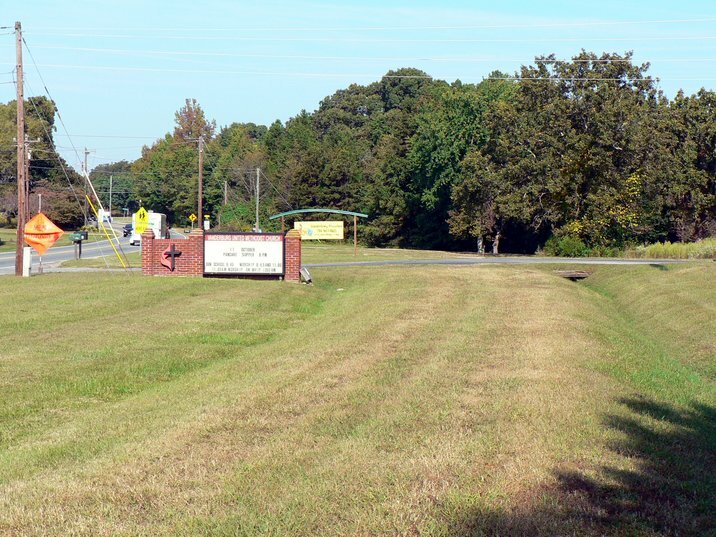 Located at the intersection of Highway 115 North and Mazeppa Road, this industry is located at the sever point of the AT&O that ran to Statesville. 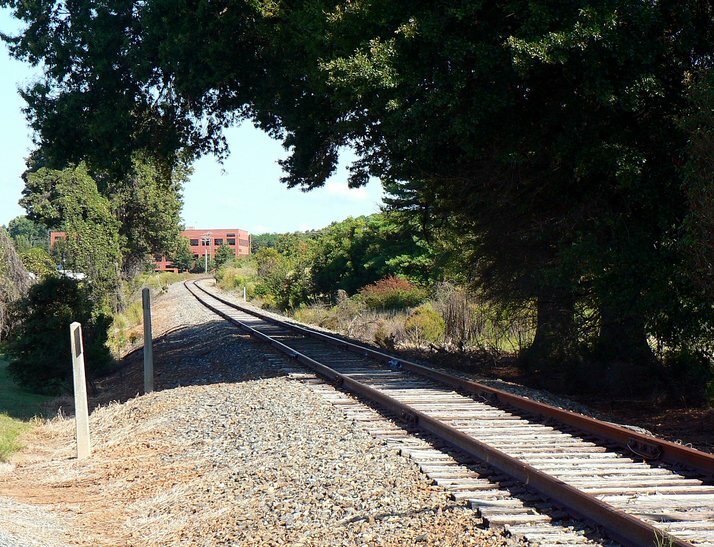 The track curves into the plant with multiple sidings and during the past couple of years, a new storage siding was constructed from the former main. In reality, the track from Mooresville Junction is a long siding to serve the NGK plant that turns a respectable number of covered hoppers. The largest shipper by volume in the Mooresville town limits was Bay State Milling. 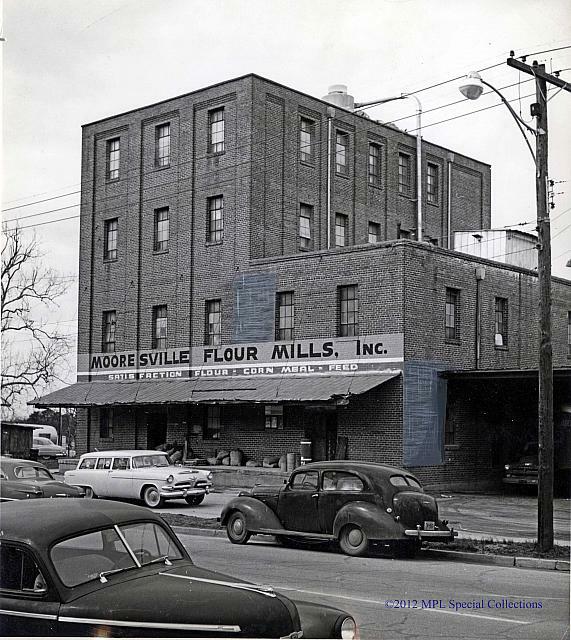 Located along a spur that long ago served the Mooresville Flour Mill that branched from the main at East Iredell Avenue, this long established shipper has been a mainstay since 1973 when it acquired the Mooresville Flour Mill. Business continued to grow facilitating the addition or more storage tracks which finally resulted in the closure of Mackey Avenue during the 1990s. 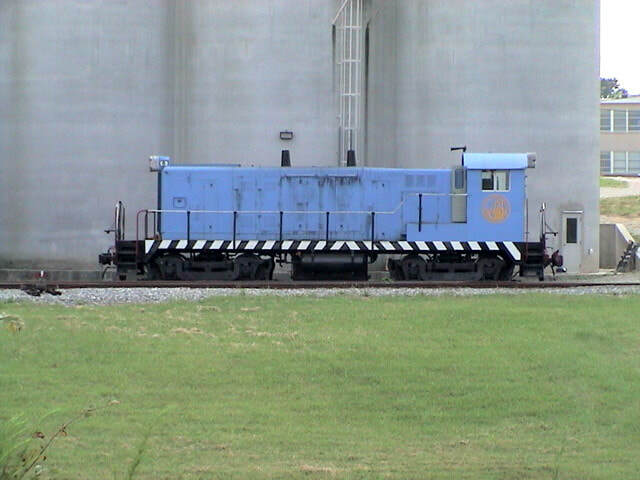 During the late 1990s, the company purchased an industrial switcher to facilitate the plant car moves. 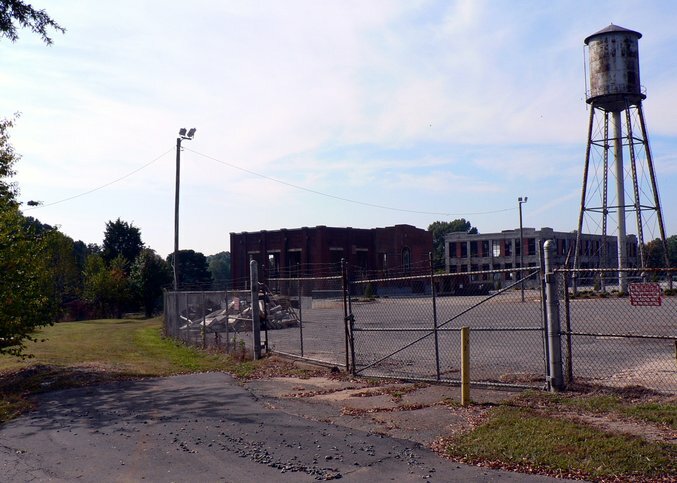 Today, Bay State Milling is the last remaining rail shipper in the old business district of Mooresville. 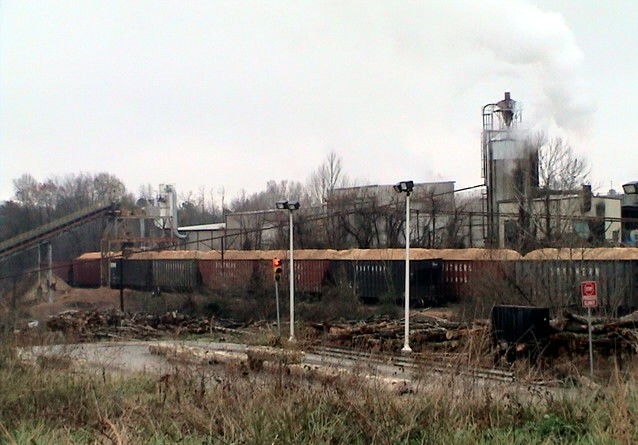 Although not located along former AT&O rails, the industrial park built between Highway 801 and Mazeppa Road increased the volume of rail cars substantially during the early 1990s. 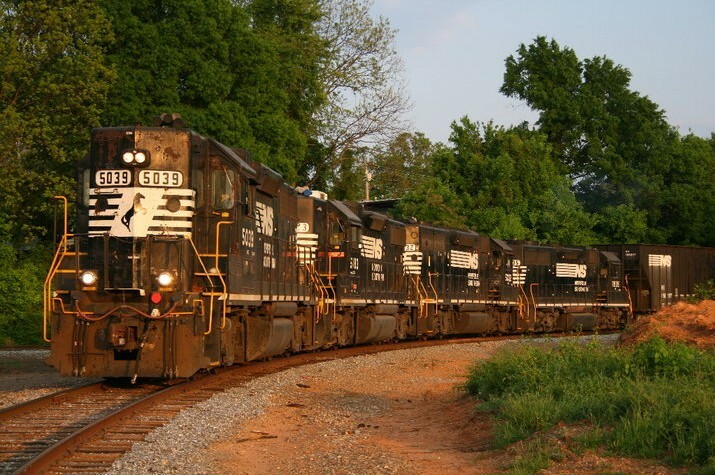 Multiple shippers are located within the complex that keep NS P23 busy on the Barber line northeast of Mooresville. Run through trains at Mooresville were quite rare. Aside from the 1991 excursion from Charlotte to Winston Salem that featured the N&W 611, the only movements have been MOW trains or geometry rail inspection runs. 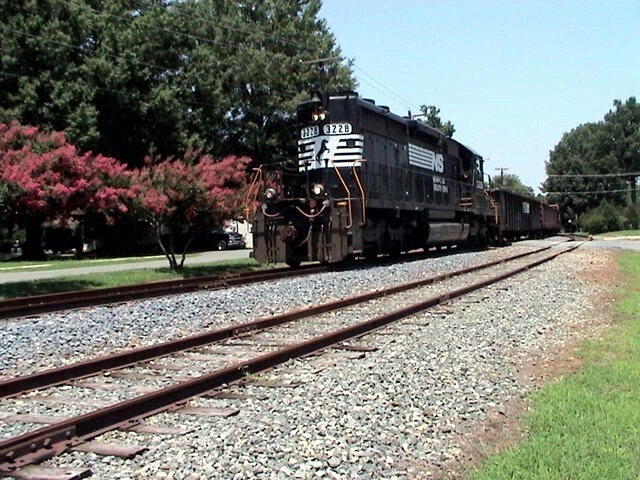 Charlotte to Mooresville turns ended in the late 1990s and NS P23 from Barber has served the Mooresville area since. 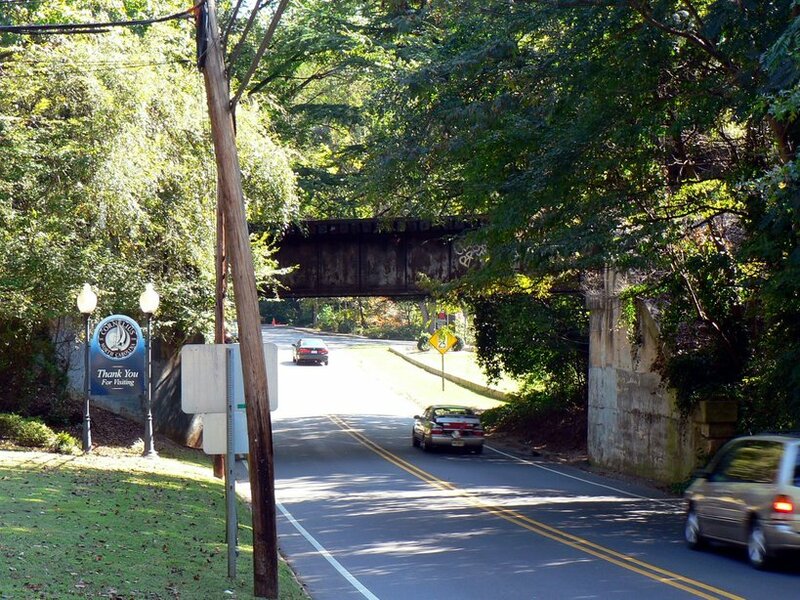 Named after the Mount Mourne Plantation that once covered an expanse of land during the 1700s, this unincorporated community occupies the region that lies between Mooresville and Davidson. Rich in colonial history with the aforementioned plantation and the site of Torrence Tavern from Revolutionary War annals, this prominence contrasted with the relatively insignificant stature of the railroad through here. Aside from a whistle stop for passengers, the commercial importance of Mount Mourne was small. The AT&O line after leaving the south end of Mooresville runs through two sweeping curves before straightening on a long tangent from Mount Mourne to Davidson. Highway 115 parallels the line on its east side and the west side of the track is primarily flat land. 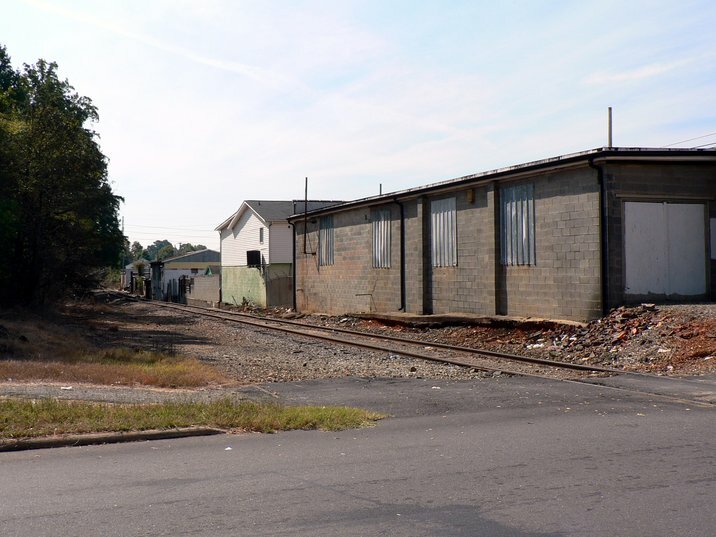 If the AT&O and later Southern Railway had ever needed a yard between Statesville and Charlotte, this would have been the ideal location not only due to available space but for its central position along the route. Mount Mourne is within the parameter of a dead zone of railroad that extends from south of Mooresville to Cornelius. Although commercial development has touched the area within the past decade there are no online shippers nor has there been the passage of regular traffic through here for over a decade. A less busy moment eight years later in 1920. General freight in the boxcar at the depot and the semaphore adds to the setting. Image courtesy Davidson College. Whenever Davidson is mentioned, the first thoughts are typically of the college and justly so. As the foundation of the community since 1837, it has been central to the town development and the supporting structure virtually based entirely upon its existence. Located in a region that has boomed with residential and commercial growth for the past two decades, the town has intentionally been selective to this growth with an emphasis on maintaining a laid back yet vibrant college atmosphere that has been a charm for generations. Davidson has been successful in preserving much of its heritage with respect for its past. ICC Archives record a derailment that occurred at Davidson on January 10, 1914 that resulted in the death of two employees and the injury of one employee and two passengers. Southbound Train 15 with locomotive 4-4-0 # 3871 and three coaches running from Taylorsville to Charlotte, departed Mooresville at 8:15 PM and continuing south, stopped at an intermediate location (Mount Mourne) to discharge passengers. At approximately 8:30, the train entered Davidson traversing a long curve to the right and then ran on a tangent prior to entering a curve to the left. It was at this point that the locomotive and tender derailed laying on its side but the tender still upright. The first two coaches were derailed and damaged but remained upright. Examination of the locomotive running gear determined that it was in good condition and a thorough track inspection likewise found its condition good. A local merchant stated that he had met two young girls and a boy walking the track four hours prior to the derailment and noticed that pieces of coal had been placed on the rails. The investigation later determined that a track spike had been placed upon the rail and was attributed as the cause of the derailment. Special agents interviewed the three children and the boy admitted placing coal on the rails but denied the placement of a spike. Since there was no positive proof the boy was responsible for the derailment, no further actions were taken. The modern day location of this derailment from a century ago would be the vicinity of the Delburg Street grade crossing. 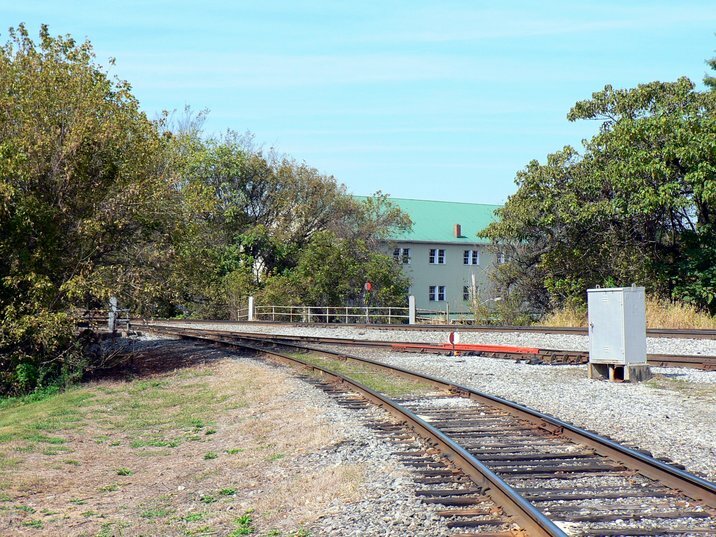 In one aspect, the railroad passing through town has remained much the same from a visual standpoint as there has been meager change along its right of way. The depot is still extant as are the other trackside surroundings. 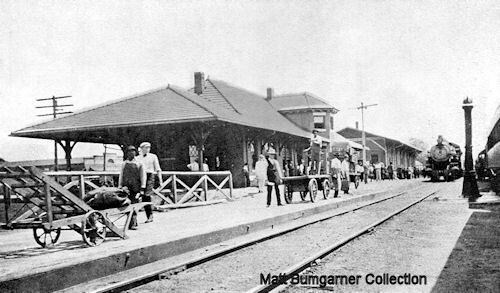 Never a large location for online shipping, the railroad served agricultural needs in the past as well as the college. 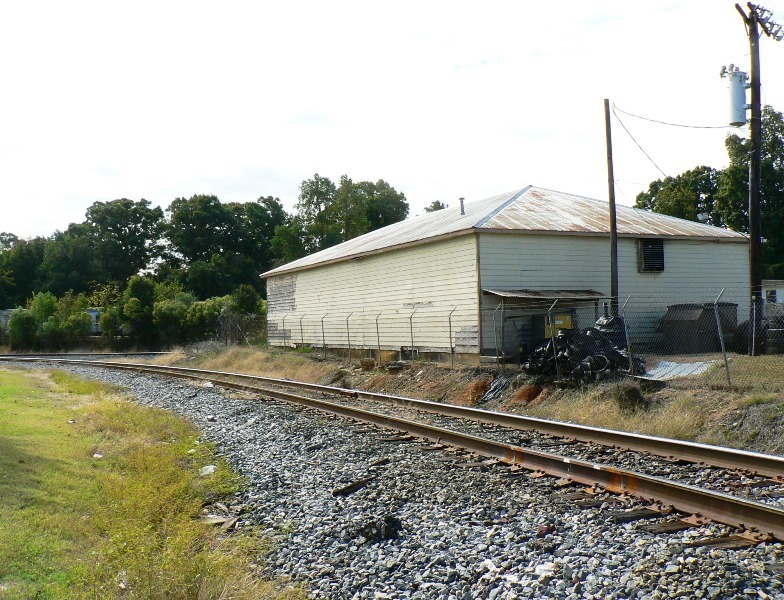 For many years, a siding existed just south of the depot to serve a storage building utilized for the campus needs. The forte of the railroad here throughout the years was certainly more aligned with passenger service as this was a busy stop along the line considering the travel to and from the college and other business affairs related with such. Today, it is a rusty railroad track that meanders through this town. There are no online shippers and it has been over a decade since trains passed through on a regular basis. But the future might possibly be fodder for a renaissance. With discussions concerning implementing light rail on the former AT&O between Charlotte and Mooresville, Davidson would figure prominently in this operation. In fact, it is this writer’s opinion that it would be the crown jewel on such an operation due to the high volume of potential student patronage that exists. Davidson appearing on the map. During the late 1800s, a dispute arose between two cotton businesses as to the appointment of an official weigher. After an intense election, the cotton firm that opposed the appointment relocated south of the Davidson town limit. Once the firm became established, farmers found it difficult to reach Davidson after heavy rains and because the road traversed a small hill and the wagons would bog down on the muddy slope. The resulting solution for this frequent problem was the constructing of a mill enabling the processing of cotton into cloth. Funding for the new mill was primarily supplied by Joseph Benjamin Cornelius in a new town that would bear his name. The town of Cornelius, founded in 1893, was incorporated in 1905. The promise of any future increase in rail activity lies with the development of light rail providing commuter service between Mooresville and Charlotte. 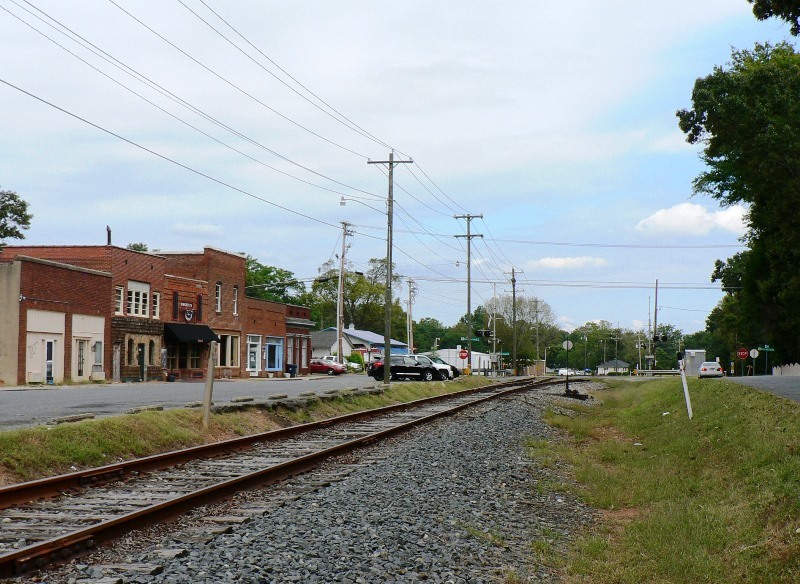 As with other the communities that border Lake Norman, Cornelius has realized a boom in real estate and commercial development during the past twenty years but this growth has been unrelated to the railroad. Although mostly overlooked and associated to the past, the old AT&O may once again become prominent serving Cornelius and the Lake Norman region as a supplemental mode of transit. 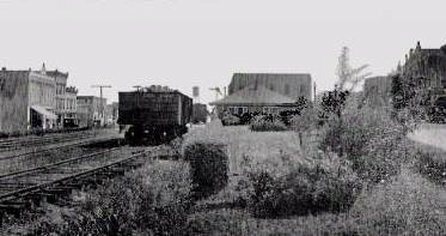 The region between Caldwell Station and Huntersville was the scene of a tragic derailment that occurred on July 17, 1917. Northbound Train 26, departing Charlotte at 4:25 AM, passed through Huntersville and was derailed north of town at 5:02 AM. One employee and one passenger were killed; in addition, twenty passengers and four employees sustained injuries of varying degrees. 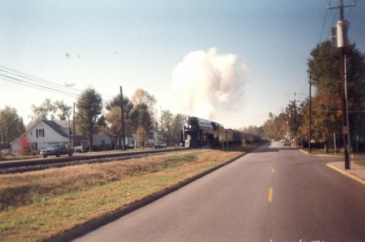 Train 26, consisting of locomotive #3839, a 4-4-0 American, a mail car and four coaches, departed the Huntersville station and proceeded north. The train rain through a series of curves and short tangents when upon entering a left curve two miles from town, left the track with the locomotive, tender, and coaches landing upon their sides on the west side of the track. Locomotive #3839 was severely damaged and the coaches sustained moderate to severe damages. Both the engineer and conductor inspected the scene and to the rear of the derailment, it was discovered that angle bars and spikes had been removed from the outside rail. 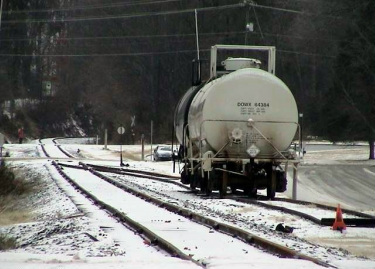 This resulted in a misalignment of the rail thereby causing the derailment. Further investigation determined that track tools were missing from the local tool shed and were eventually found discarded along the railroad right of way. The result of the ICC investigation was the derailment was caused by malicious tampering and apparently by and individual with track work experience. There is no mention from the report as to whether the responsible person(s) were ever apprehended. 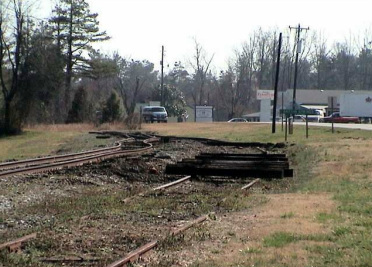 The modern day location of this derailment from 1917 would be the area at the Sam Furr Road grade crossing. 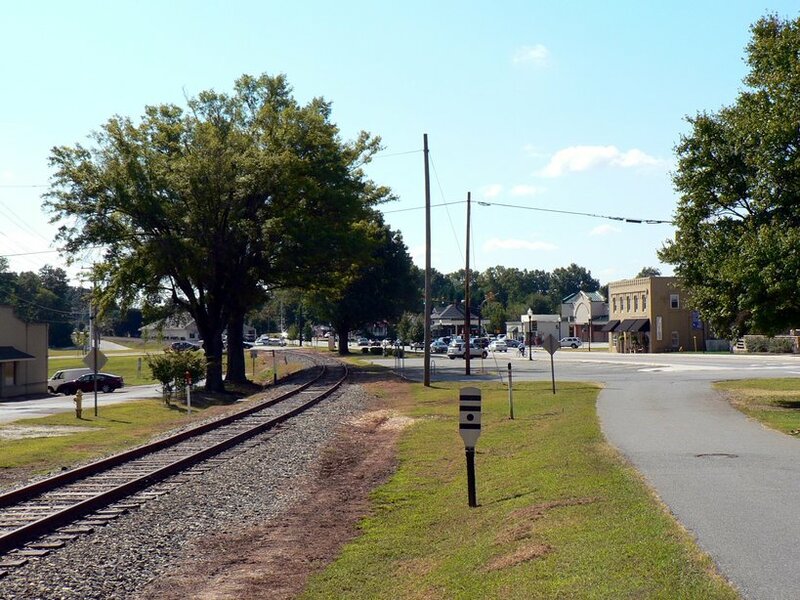 Huntersville is rich in colonial history and the development of an agriculture base in the area directly benefitted and created a need for the railroad during the mid-1800s. 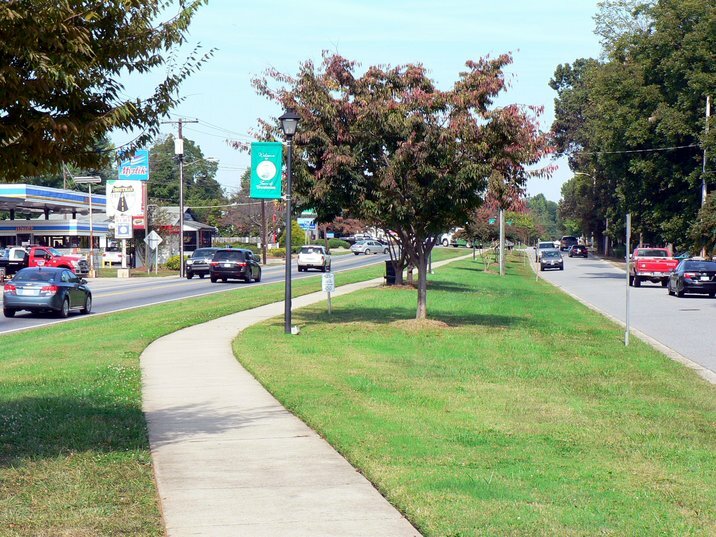 As the region gradually transformed from an agrarian based economy to industrial, commercial growth---specifically textiles--- began appearing in towns along the line including Huntersville. Originally known as Craighead, the name was changed in honor of the prominent Hunter family in the community and the town incorporated in 1873. Huntersville is the busiest remaining location along the AT&O between Mooresville and Charlotte. 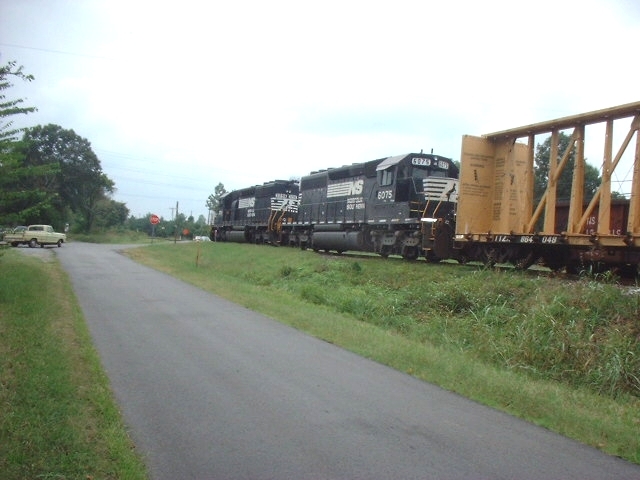 Norfolk Southern serves several shippers both in town and southward towards Croft but the rail traffic has declined from what it was during the Southern Railway era. 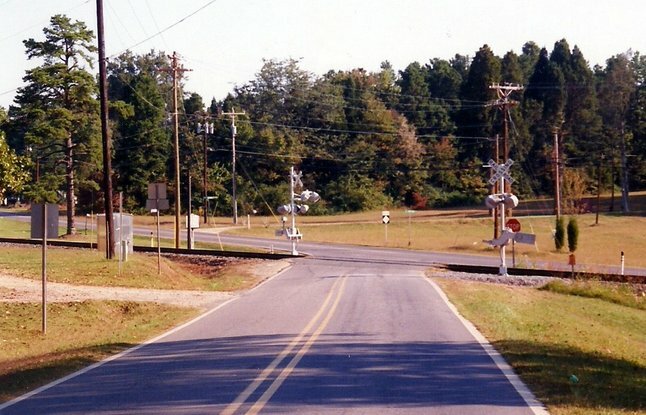 Through trains passing south to Charlotte or running to points north effectively ended when Mooresville traffic was rerouted via Barber during the late 1990s. Long time rail shippers such as Magla disappeared from the rail map in mass exodus during the 1990s as economic shifts---primarily imported goods---eroded the industrial base. 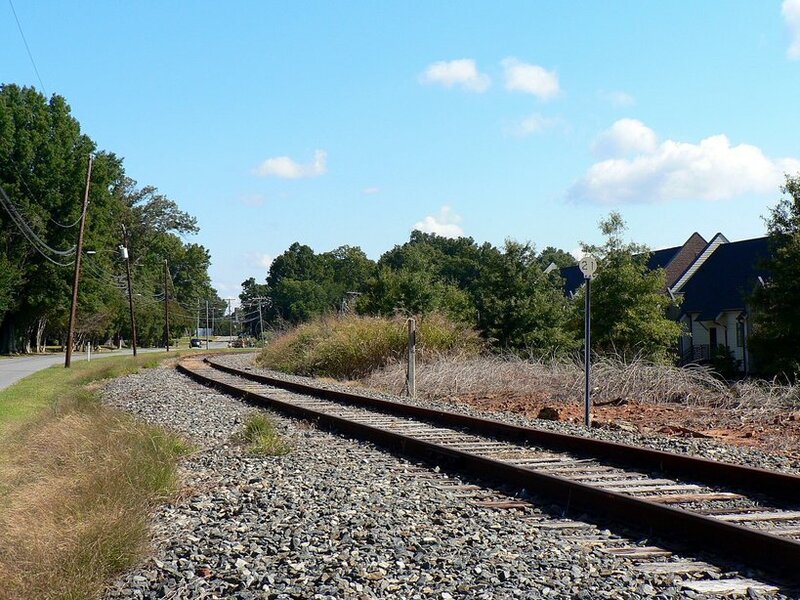 The future of the railroad in the Huntersville area by all accounts appears to be stable. 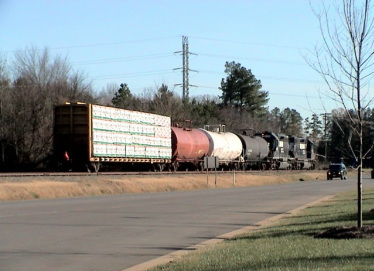 The number of shippers along the line continues to generate traffic to and from the Charlotte end of the AT&O and potential exists for future growth on the freight side. Like the three other communities to the north, the prospect of light rail in the Lake Norman region would impact operation on the line significantly in addition to providing a commuter option. Unrelated to the AT&O but possibly of interest to the reader who is familiar with the Huntersville area is the Cowans Ford Dam which created Lake Norman. 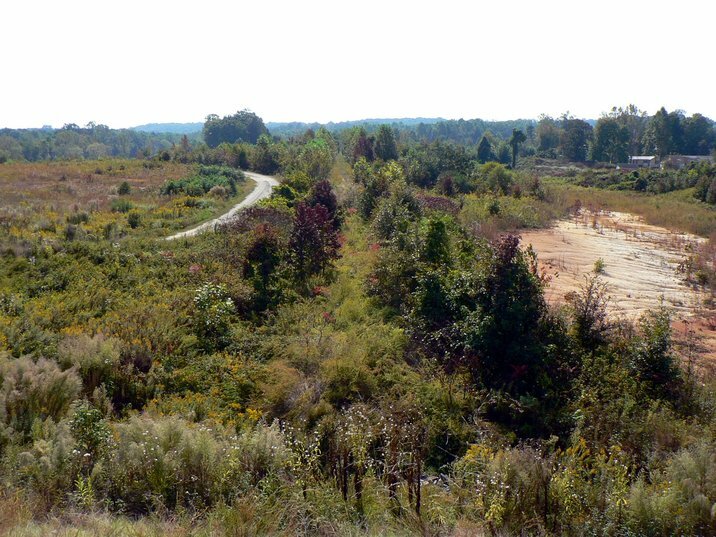 The area has been incorporated into the Huntersville limits within recent years and is appropriate to include here. Here is a link to the Piedmont and Northern…Yesterday and Today Part I page on WVNC Rails that includes construction images of the Cowans Ford Dam during the early 1960s. They are located in the Mount Holly segment of the feature. 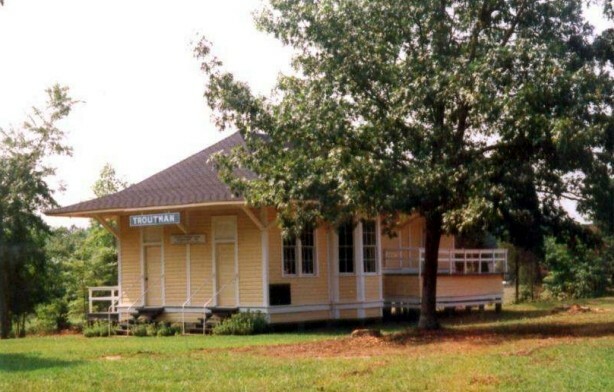 Small in size, large in local history, Latin in origin, the small community of Alexanderiana lying between Huntersville and Croft was an agricultural area for the AT&O lasting into the Southern Railway era. It was a whistle stop for passenger trains between the two points as well. Notable in local history as the location of the signing of the Mecklenburg Declaration of Independence in 1775 at the outset of the American Revolution. 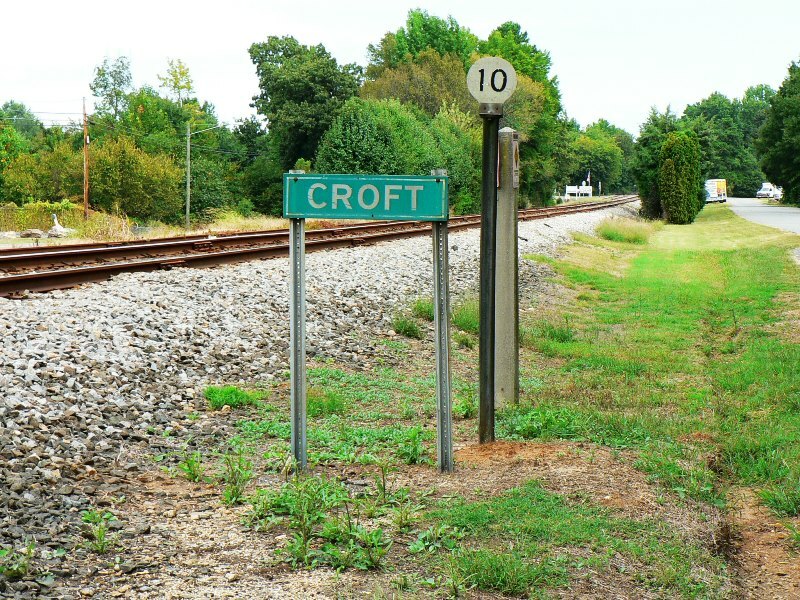 For northbound trains, Croft was the first significant stop north of Charlotte. This area of northern Mecklenburg County, rich in agricultural heritage, became an important stop for both the passenger and freight business. During the latter stages of the 1900s, commercial development facilitated the building of rail spurs that crossed Highway 115 that served these shippers. Until recent years, these businesses remained active customers of the railroad until they closed or were sold. 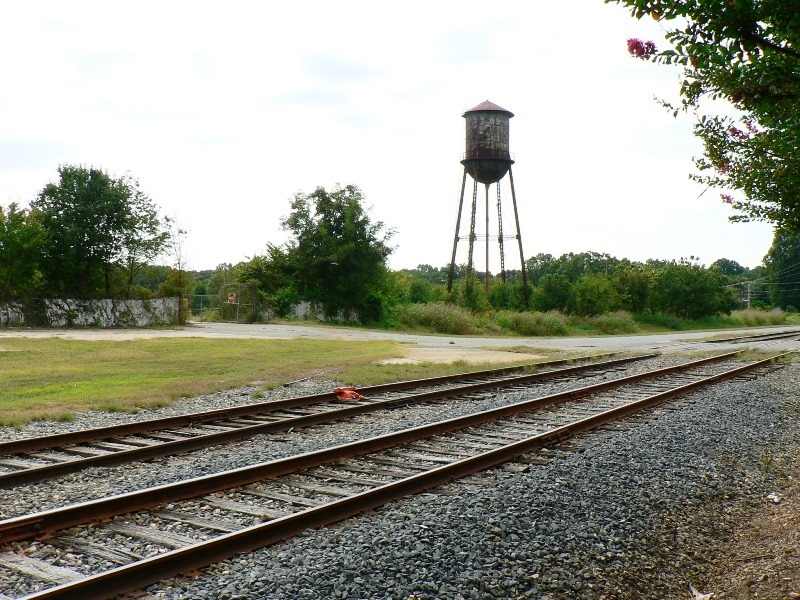 Today, these spurs have been removed and paved over where once railcars passed and only a runaround track adjacent to the main line remains. Croft still exhibits an old time feel with the Silas Davis General Store located beside the railroad. This merchant, in business since 1908, offers a backdrop to a bygone era and projects a feel to those past times. Also located nearby is the Croft School built during the 1890s and along with the general store, present Croft as an anachronism in a region that has exploded with growth. 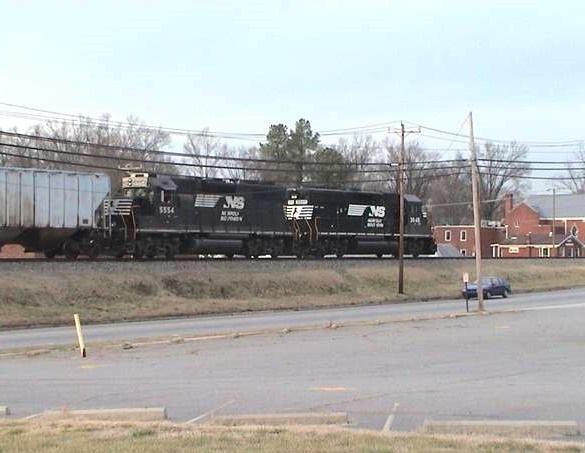 Norfolk Southern train PC06---also known as the “Quartermaster” job---passes through Croft en route to the Huntersville area for switching during the week. 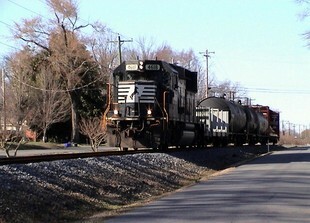 Although no rail customers remain directly at Croft, the runaround track is used for switching industry inside the northern boundary of the Charlotte city limits. Charlotte is the southern bookend for the AT&O on a journey that began more than forty miles to the north at Statesville. It ends as it began in an urban area with connections to another Southern Railway (NS) mainline. In between, the line has passed through rural stretches and small communities whose culture has expanded beyond the railroad that built them. The greatest contrast between the two end points is the current and future outlook. The north end of the AT&O is dead but for one shipper and several miles of track out of service or removed. At the south end, though a far cry from the past, it is still active and the future points to the implementation of light passenger rail utilizing its rails. 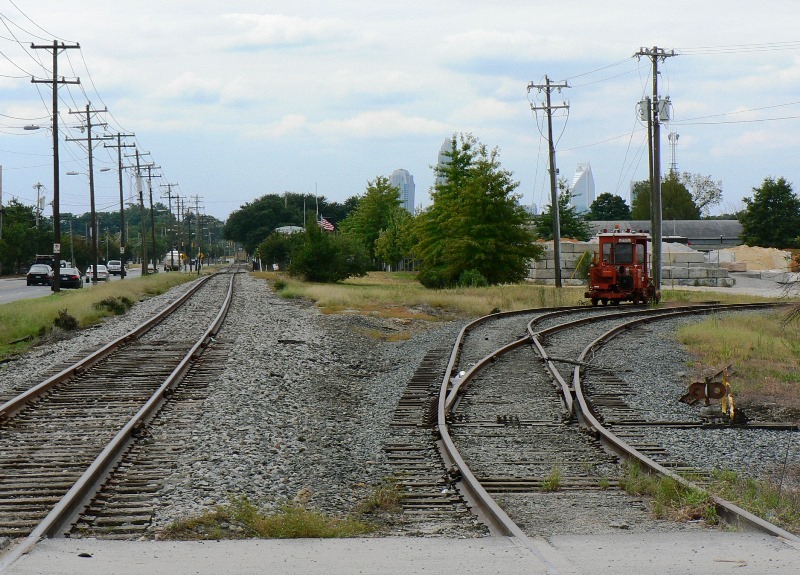 Charlotte, the Queen City and location the AT&O from whence built, still plays a role for this railroad. 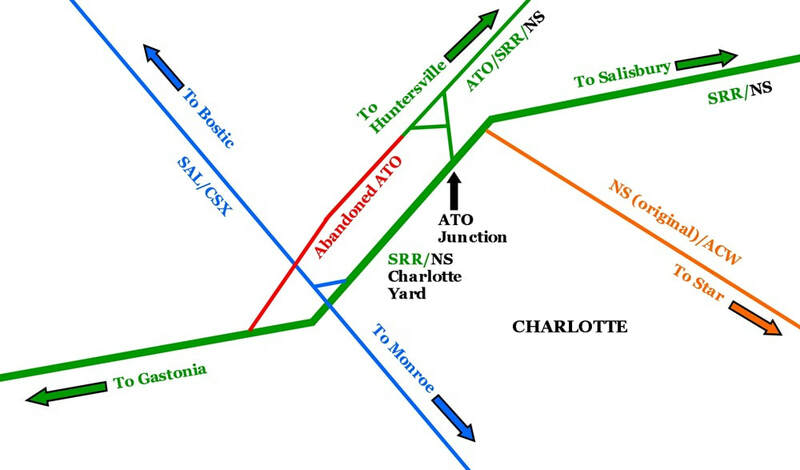 A custom map showing the AT&O connection to the NS main line at Charlotte. Other lines and junctions in proximity also included for relationship in the area. Once the AT&O moves south of Croft, it passes the Gerdau plant at the intersection of Lakeview and Highway 115. Constructed in 1961 by Florida Steel, this plant has been a steady rail customer for more than a half century. Moving southward, the line follows Gibbon Road then turns to parallel West Sugar Creek Road as it passes through the community of Derita which has long since been incorporated into Charlotte. The AT&O finally turns and runs adjacent to North Graham Street. It is along this stretch that the railroad passes through commercial districts and an urban atmosphere that is reminiscent of what once was. 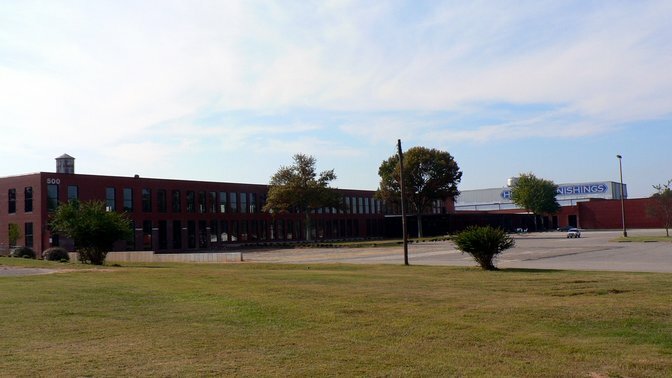 A development that occurred on the AT&O route at Derita in modern times was the construction of an IBM manufacturing plant located in northwest Charlotte. The industry first opened in in 1981 with further expansion transpiring three years later. 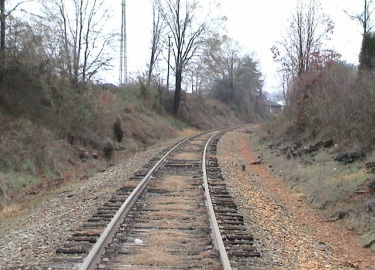 Right of way was acquired and a spur from the AT&O was constructed to serve the plant with plastic pellets. Ironically, this was to be relatively short lived as IBM sold the complex to Selectron in 1998 with the new owner not opting for rail service. 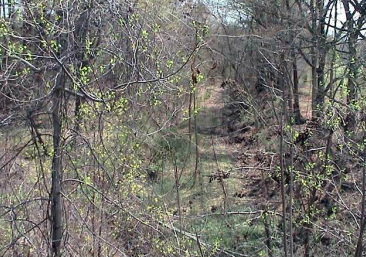 The spur was abandoned and pulled circa 2000 and although the right of way remains traceable, residential development has rapidly enveloped the area. Google Earth view highlighting the former spur that served the IBM manufacturing center. 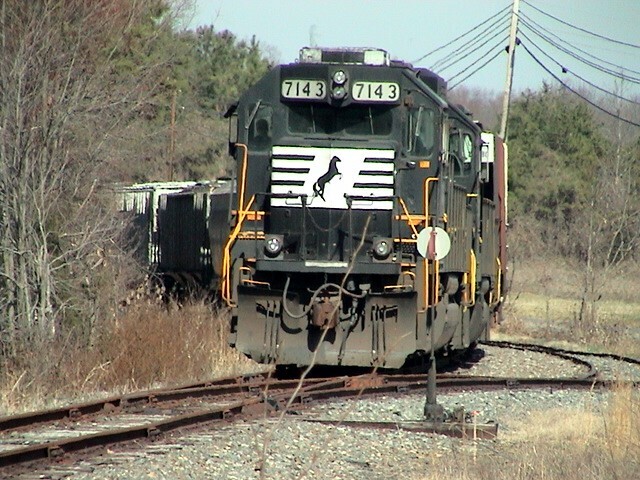 Developed in the early 1980s, a spur was extended from the AT&O route at Derita to serve the shipper. By the change of the millennium, the plant was sold and the track pulled. Residential subdivisions now border most of the area. There are spurs from the AT&O along Graham Street---few active---but still intact as a reminder of past shippers. 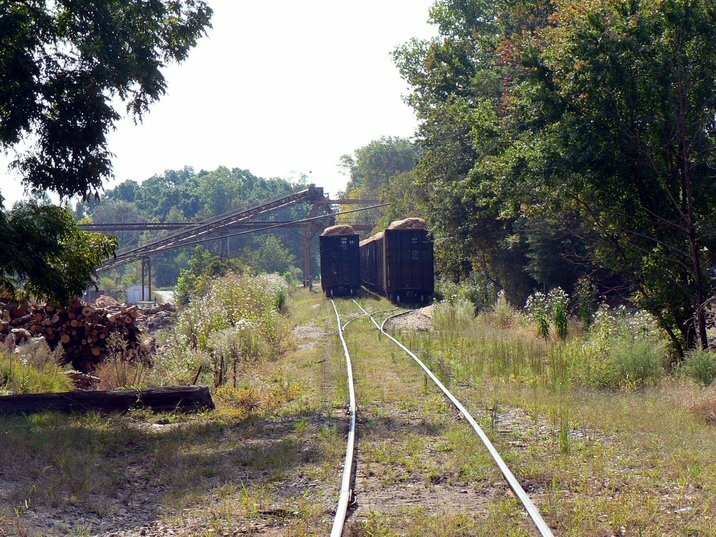 A siding located at Starita Road receives cars and once was a connecting track to an industrial park located at Woodpark Boulevard. Continuing along North Graham Street, the remaining notable location is the wye at the intersection of Graham and the appropriately named Atando (AT&O) Avenue. Extending from one leg of the wye is the active connection to the mainline just north of Charlotte Yard. 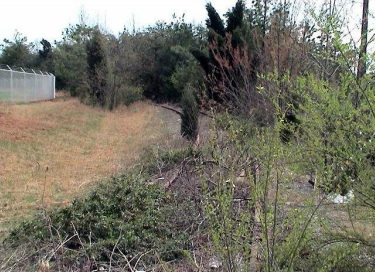 The other leg was a former connection to the mainline south of the Seaboard (CSX) junction at Graham that bypassed the Charlotte Yard. Today this leg serves a few remaining shippers but is out of service at Woodward Drive. 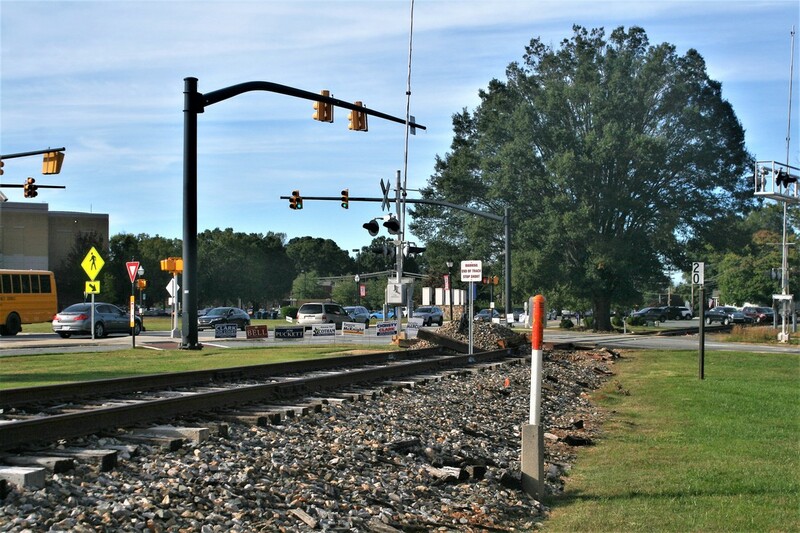 Once it crosses Statesville Avenue, the line has been severed with track removed to the former mainline connection at Graham. The wye itself is used daily by Amtrak for turning trains. 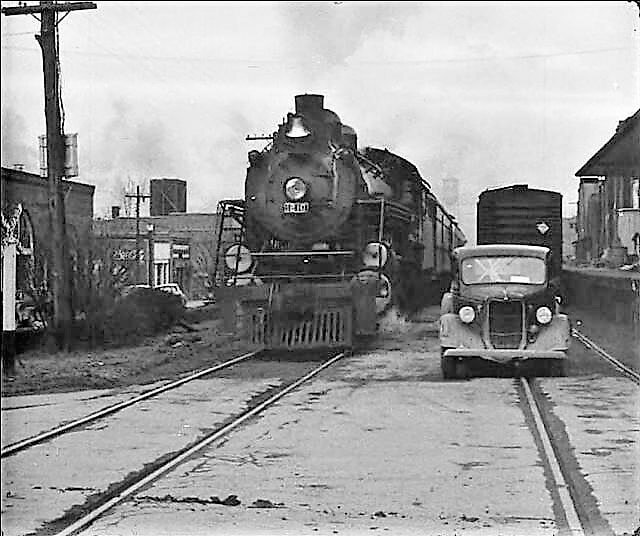 Once southbound trains #73, #75, and #79 arrive at the station on Tryon Street, the trainsets are routed onto the AT&O wye to turn and face them north for the return. The AT&O connection to the Southern mainline at Charlotte was and is ideally situated. 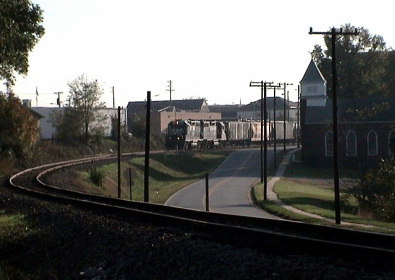 When through trains destined for Charlotte from Winston Salem or Hickory diverged onto the main, the entrance to Charlotte yard was immediately past the junction. Likewise, originating trains from the yard to those and other destinations could soon diverge onto the AT&O for the trip north. This remains in effect today although NS train PC06 is smaller and is a switching turn instead of a run through train. Southern Railway passenger trains also had strategic access to the station from the AT&O as well. If light rail is implemented from Charlotte to the Lake Norman region via the AT&O, the infrastructure in the Queen City will be the most difficult task. 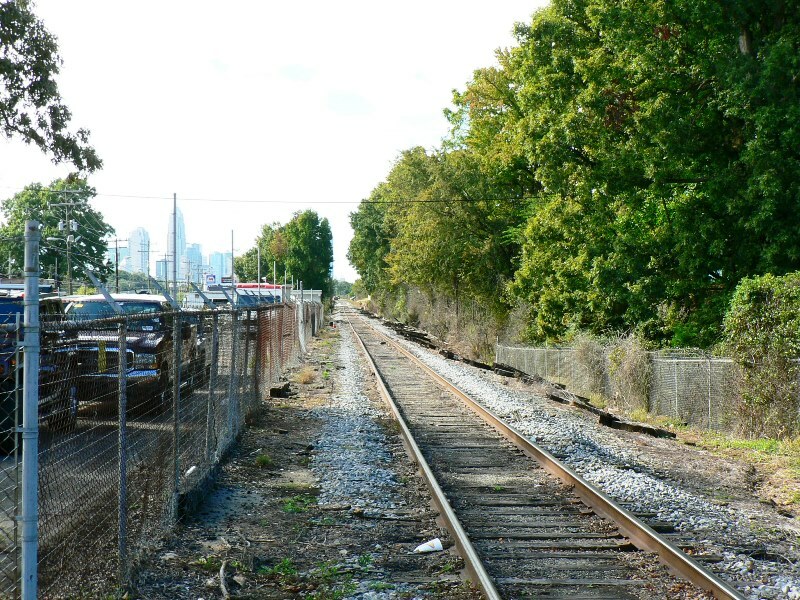 Light rail could use the Amtrak station on Tryon Street but for complete viability, other points within the city would be desirable. How this would be achieved with minimal impact on Norfolk Southern operations and current Amtrak trains will require intense planning and coordination. 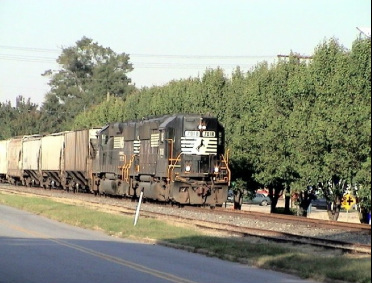 In October 2018, Norfolk Southern severed the AT&O route between Mooresville and Cornelius officially taking 6 miles of track out of service. 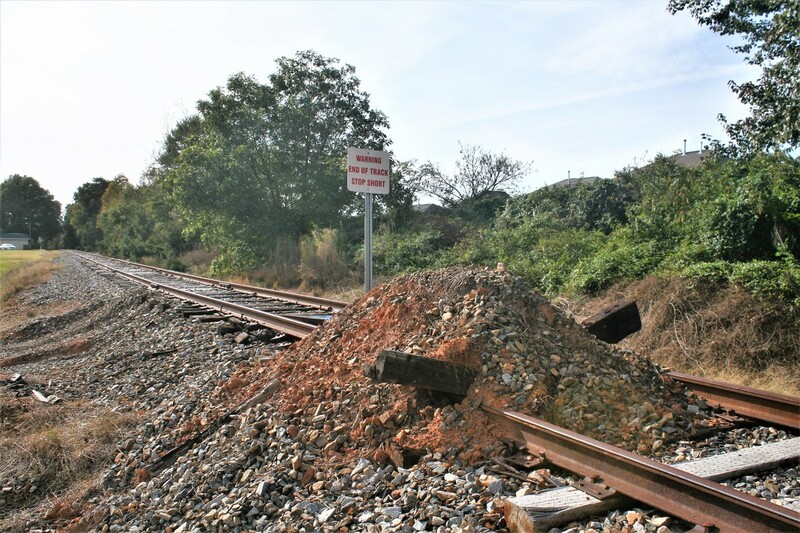 This section of railroad, as discussed above, has been dormant for years and in reality out of service operationally for the past two decades. Although the track is not removed between these two points, the rail is cut at two locations breaking the continuity of the route. The motive prompting this official severing of the route is believed to be the elimination of political pressure to convert the route to light rail service by the communities along the route. But this is simply conjecture and not an official statement. Nevertheless, whether this is absolute fact or not does not alter the present status of this as a dead section of railroad void of freight traffic. Thus, the prospects of service restoration through this section in the foreseeable future are bleak. Finally, as another update, the 2013 AT&O map at the top of this page is revised to reflect this sector of railroad in out of service status.